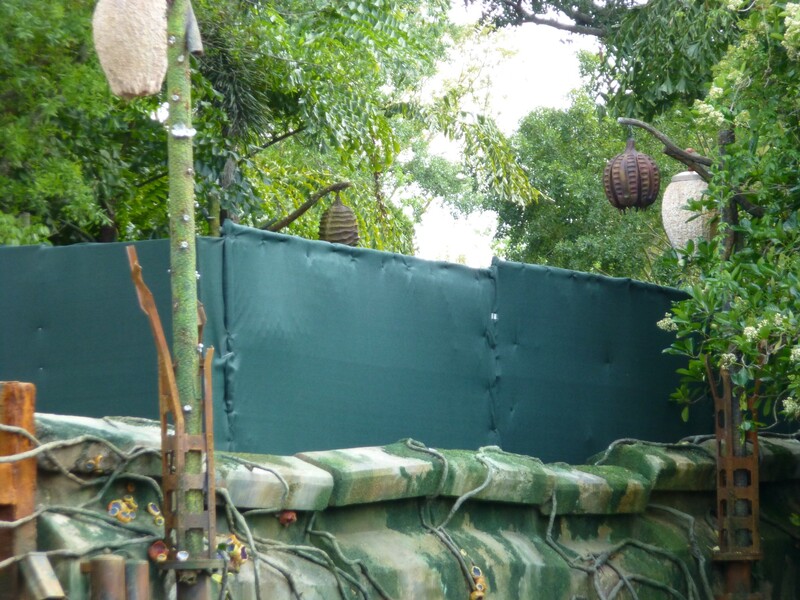 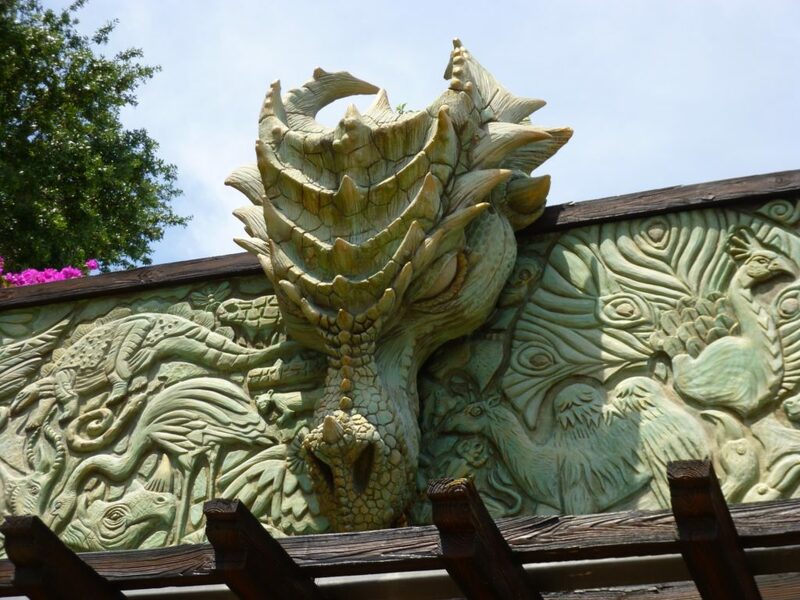 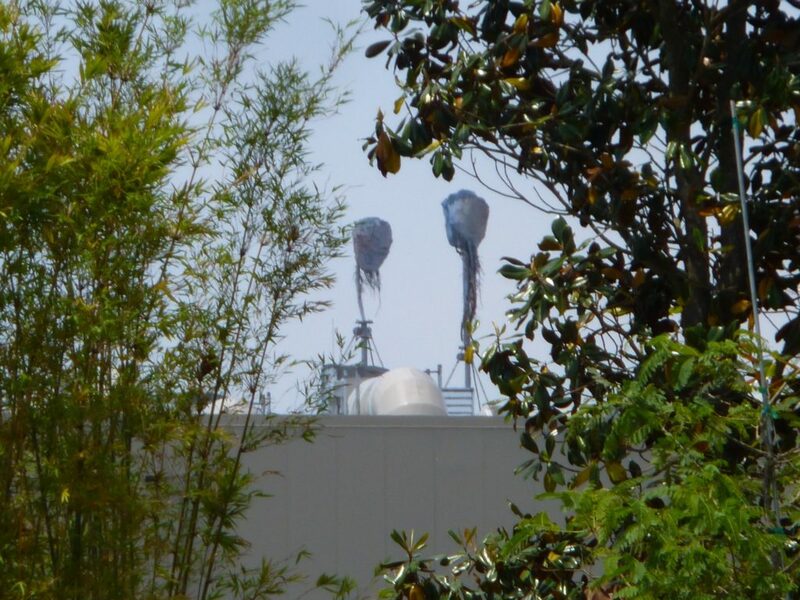 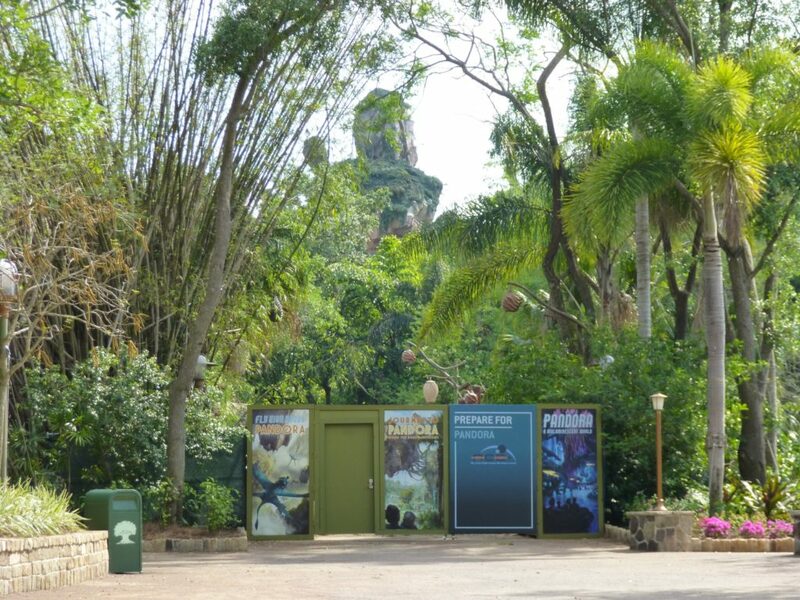 Pandora: The World of Avatar is very close to opening to the public with only small details to be completed, and we’re taking our last look before the big reveal! 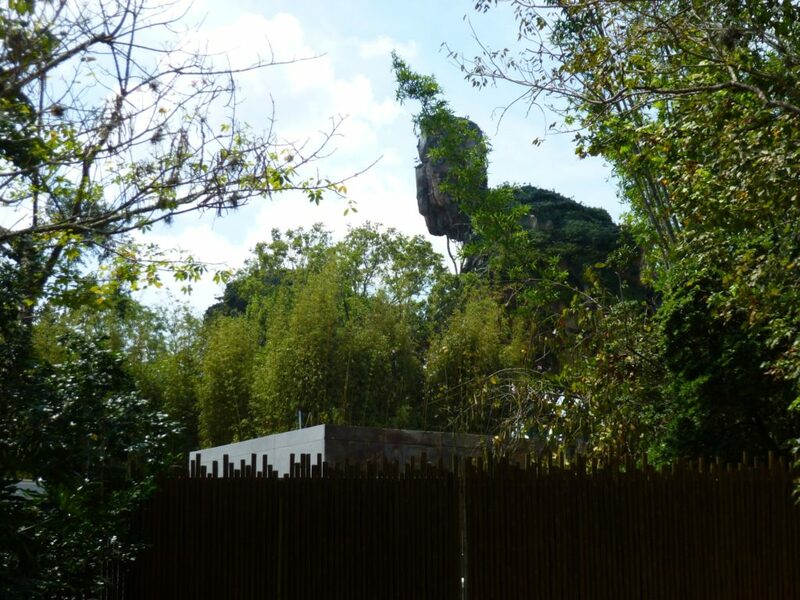 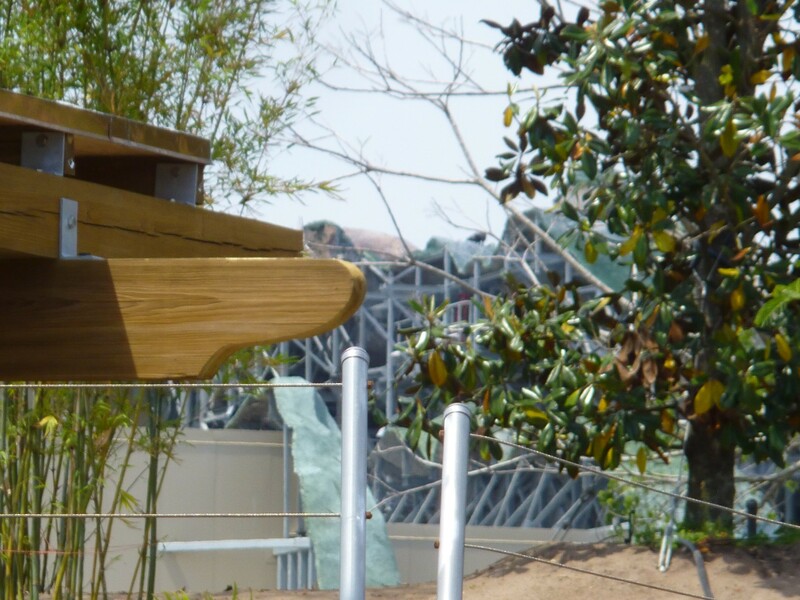 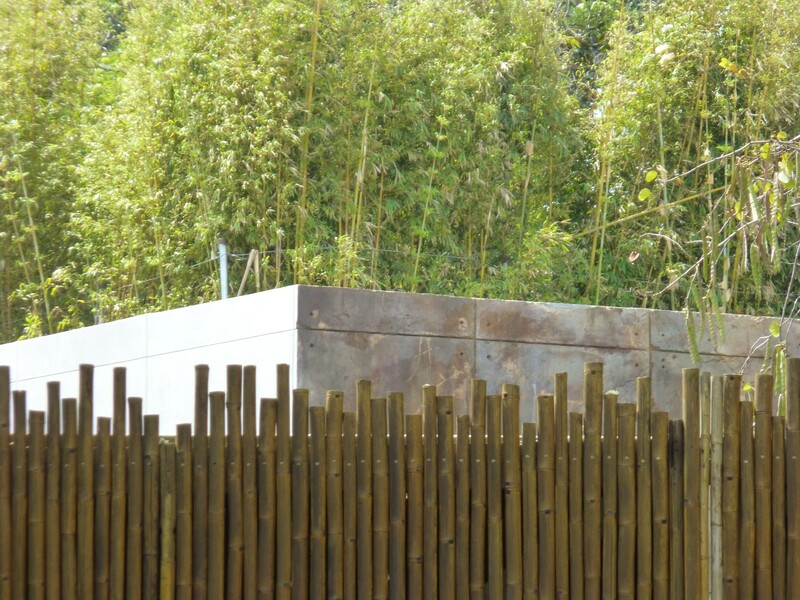 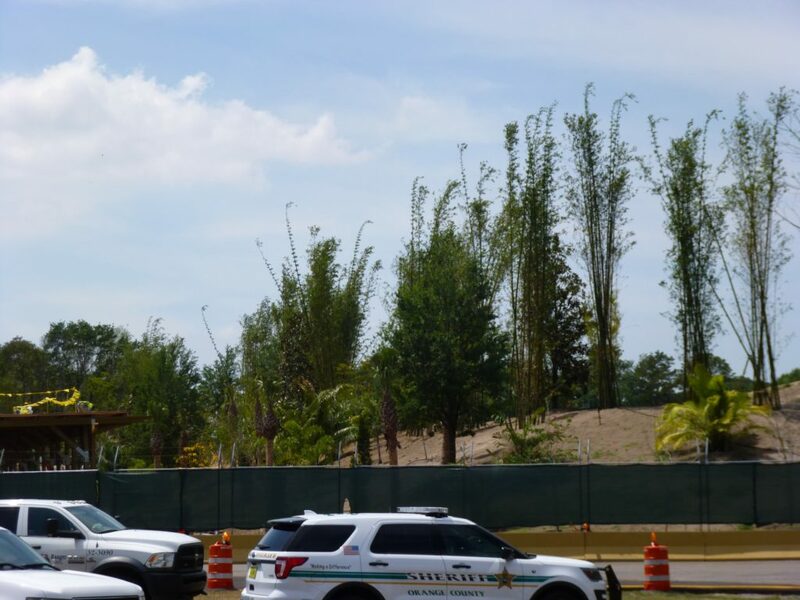 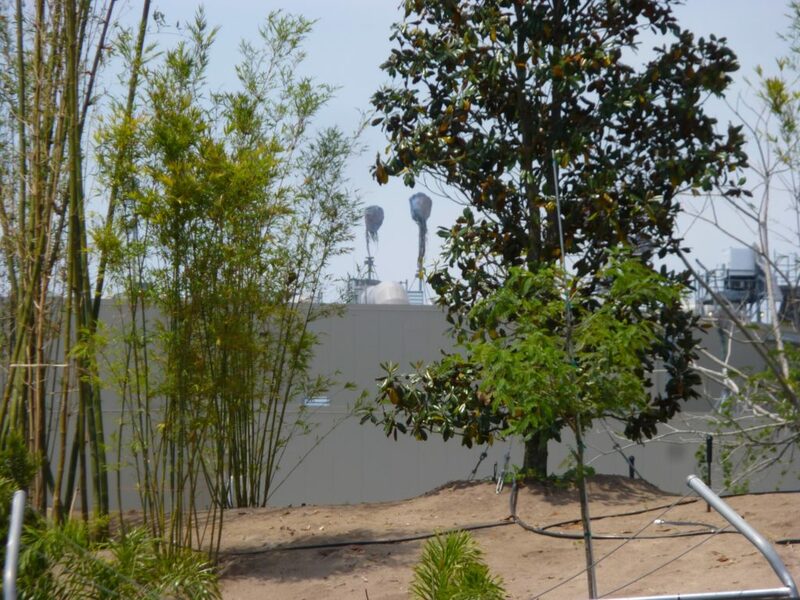 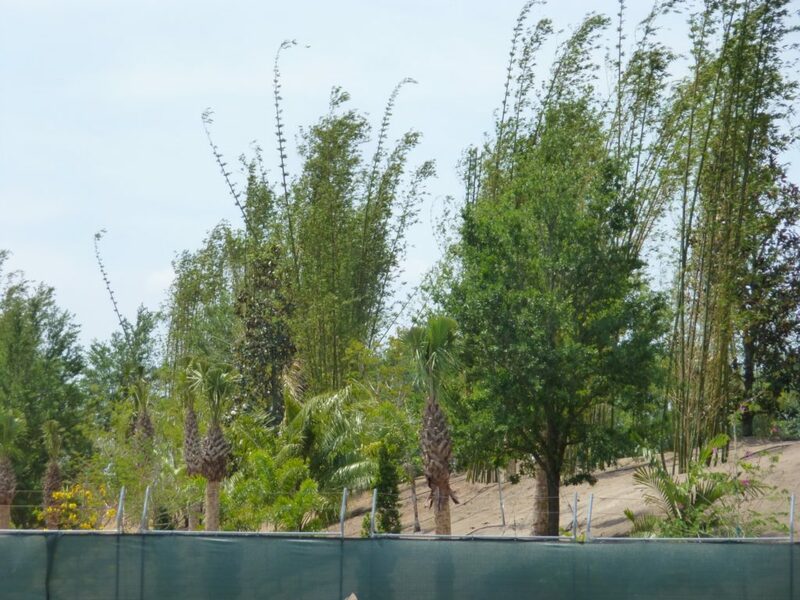 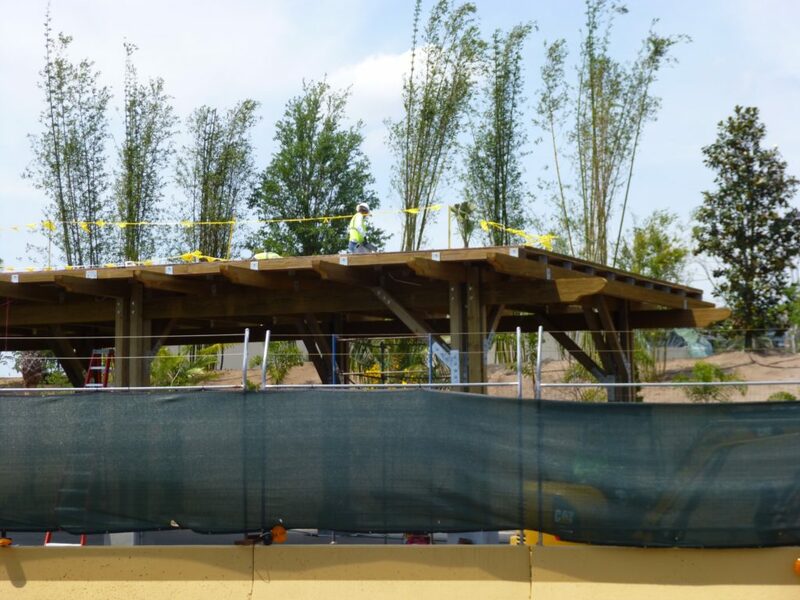 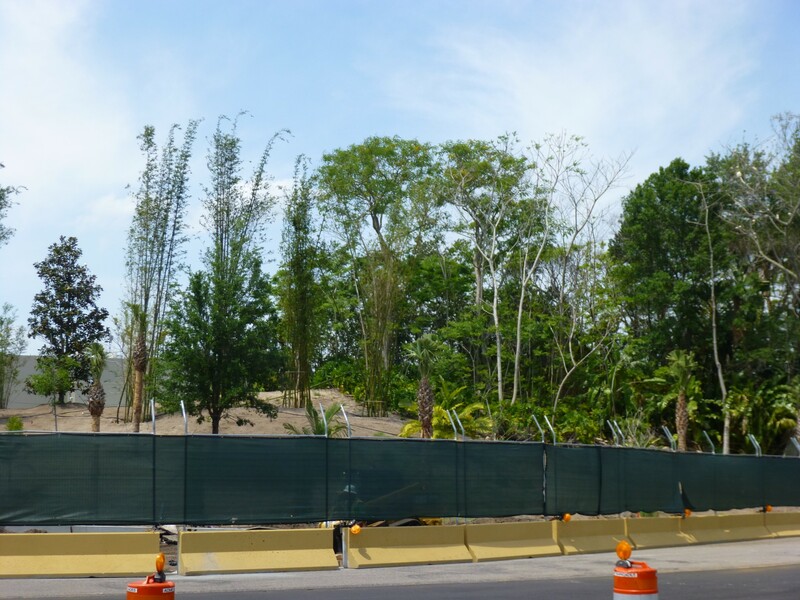 The berm with lots and lots of trees and plants is coming along nicely behind Pandora, blocking much of the area from view of guests arriving by bus. 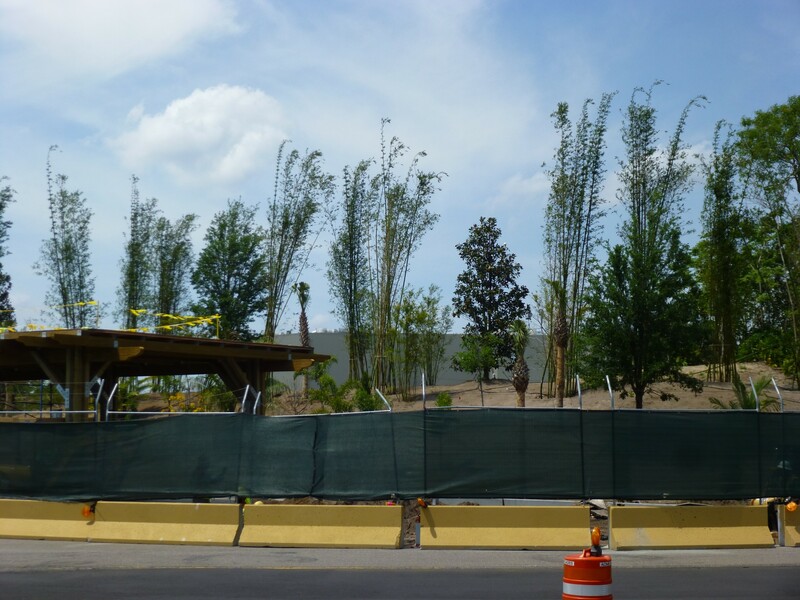 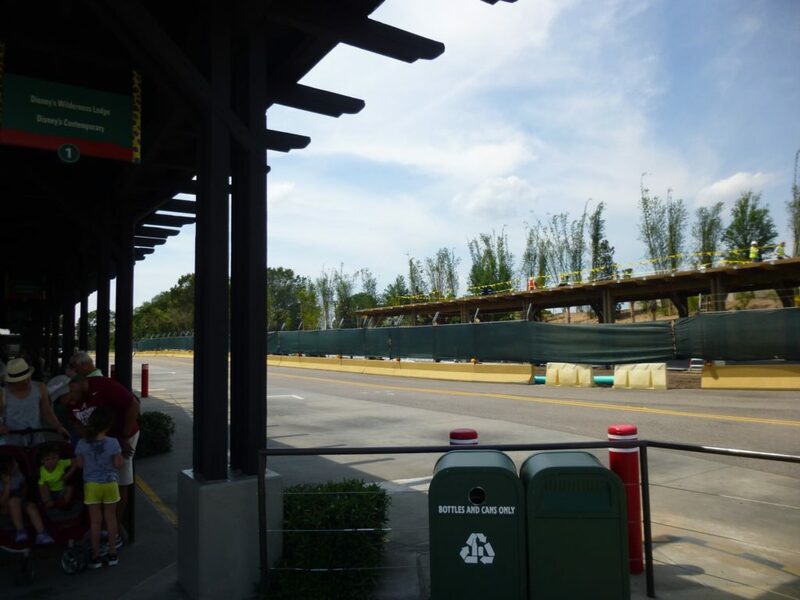 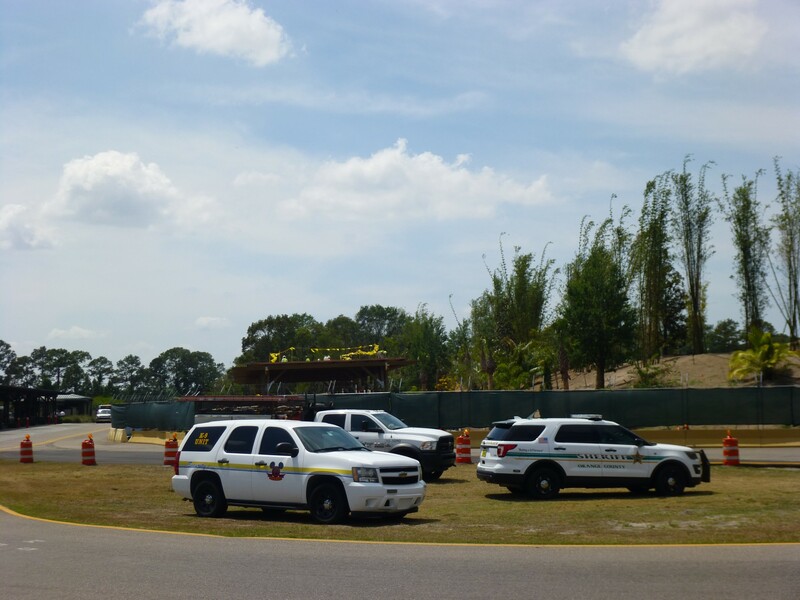 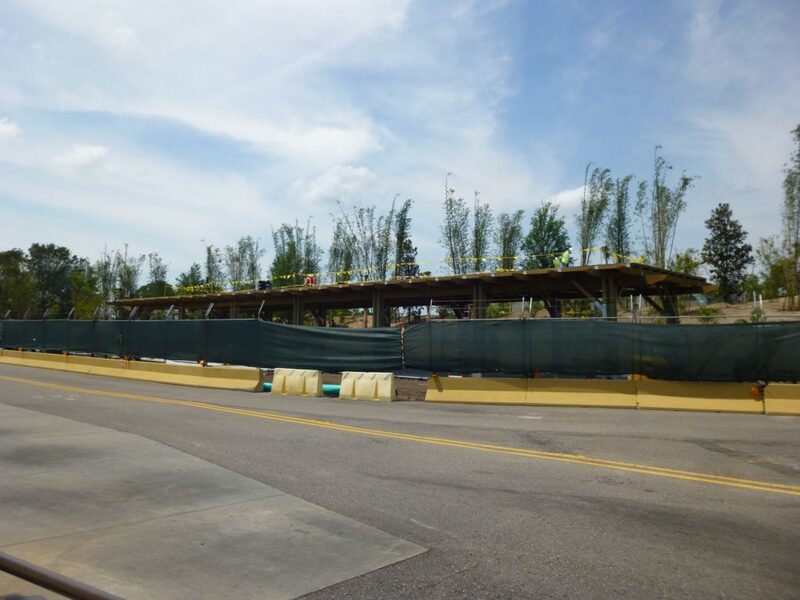 And speaking of buses, a new bus station is being constructed just behind that berm, the third row of stations for Animal Kingdom. 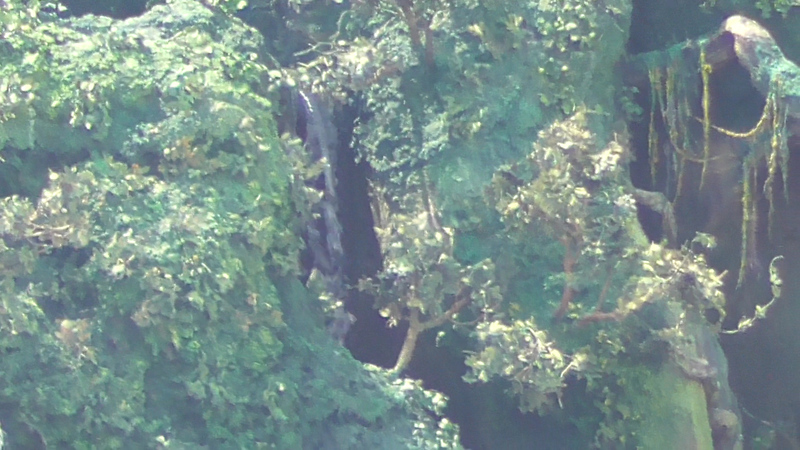 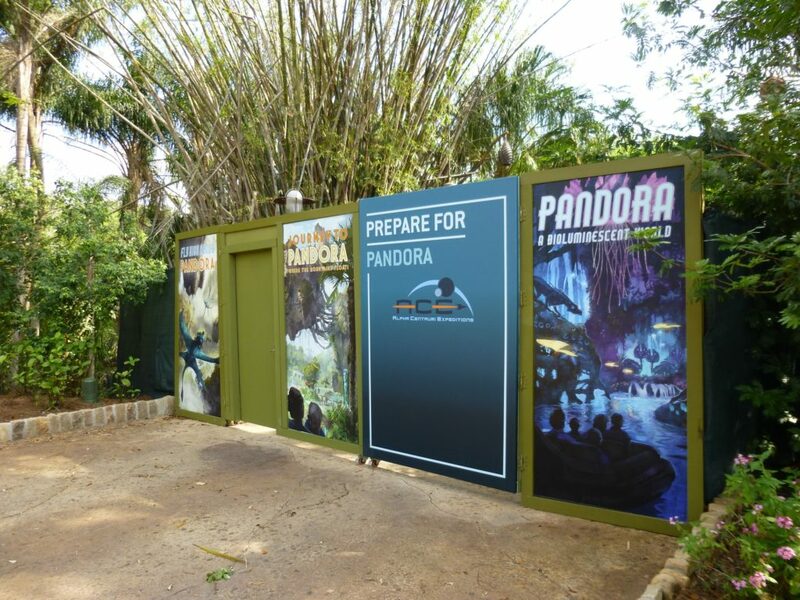 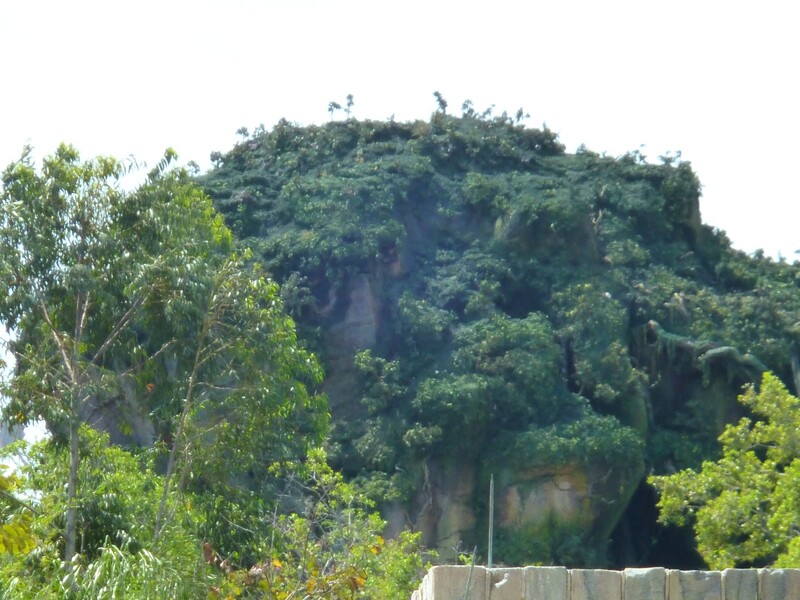 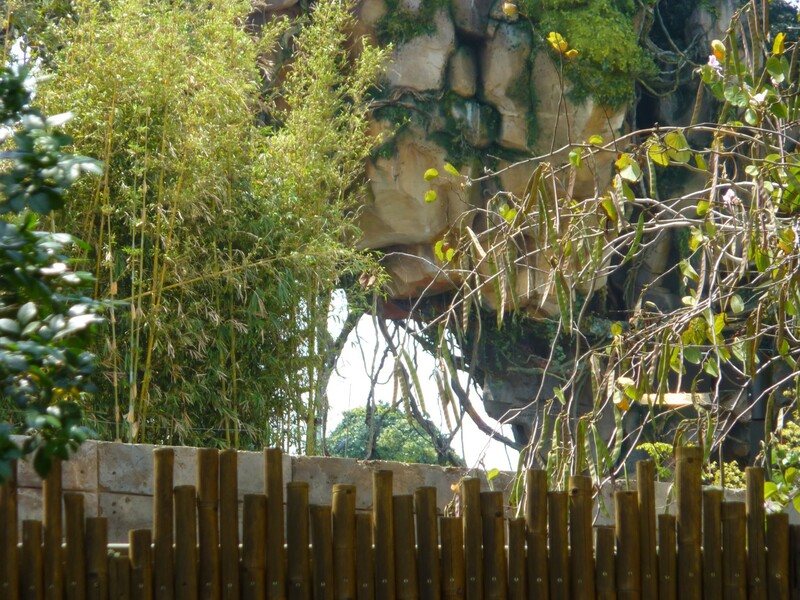 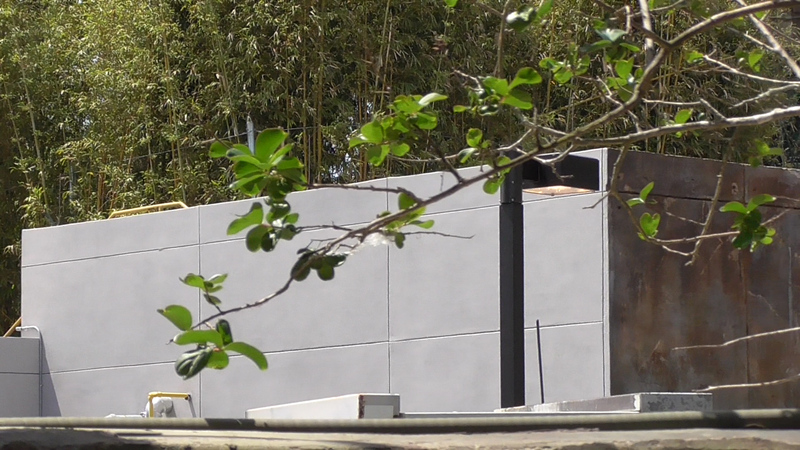 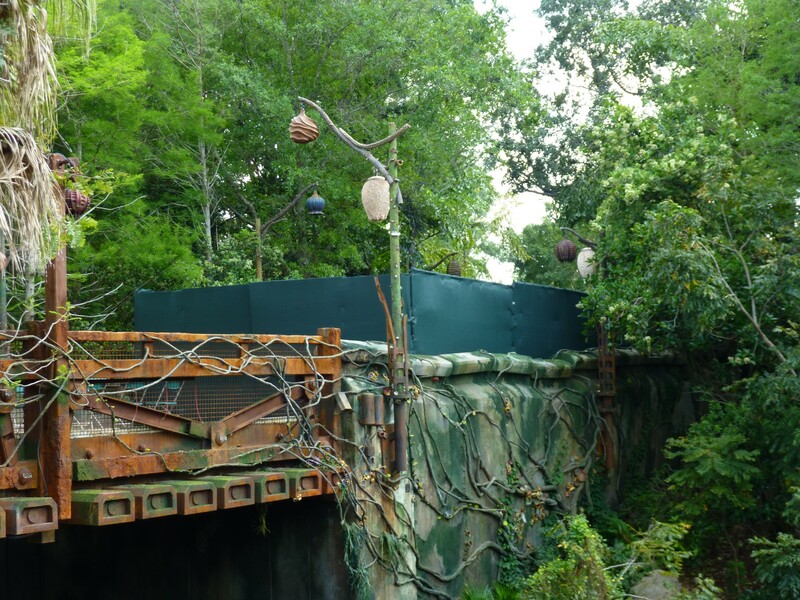 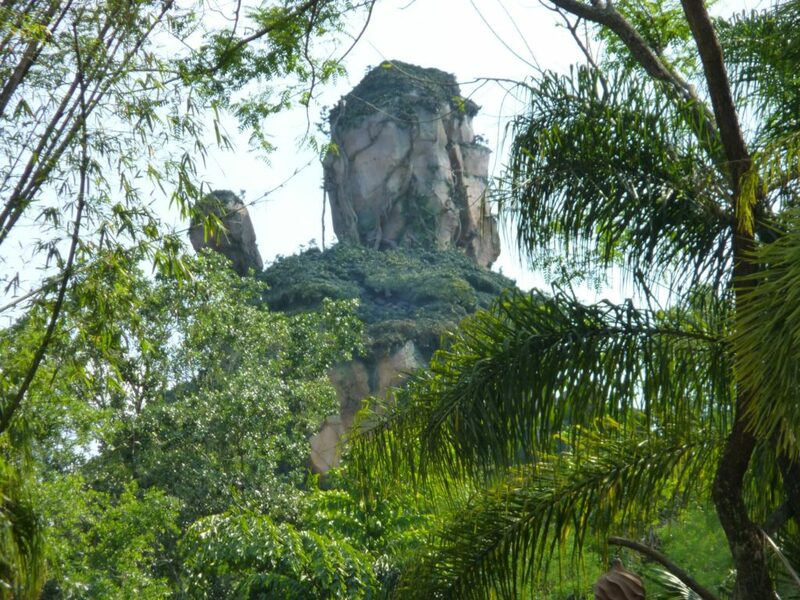 Expect it to be ready by the official opening of Pandora, May 27, 2017! 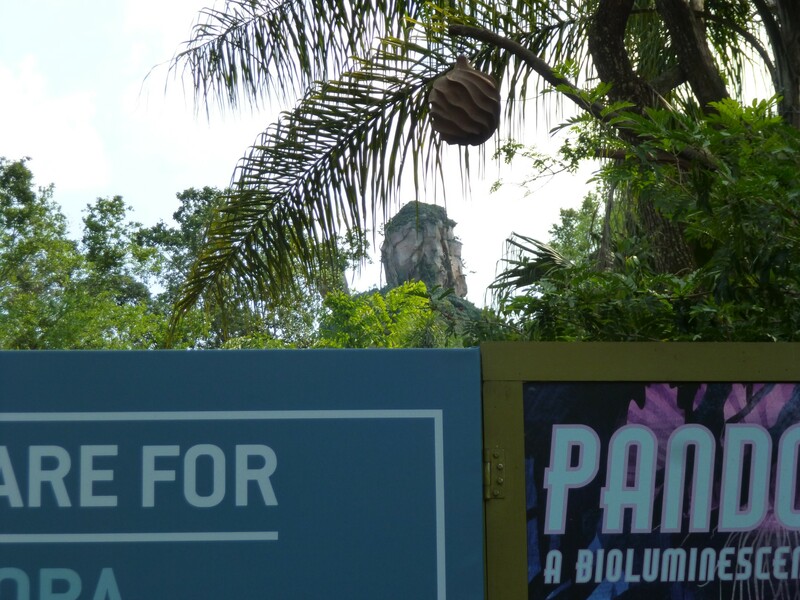 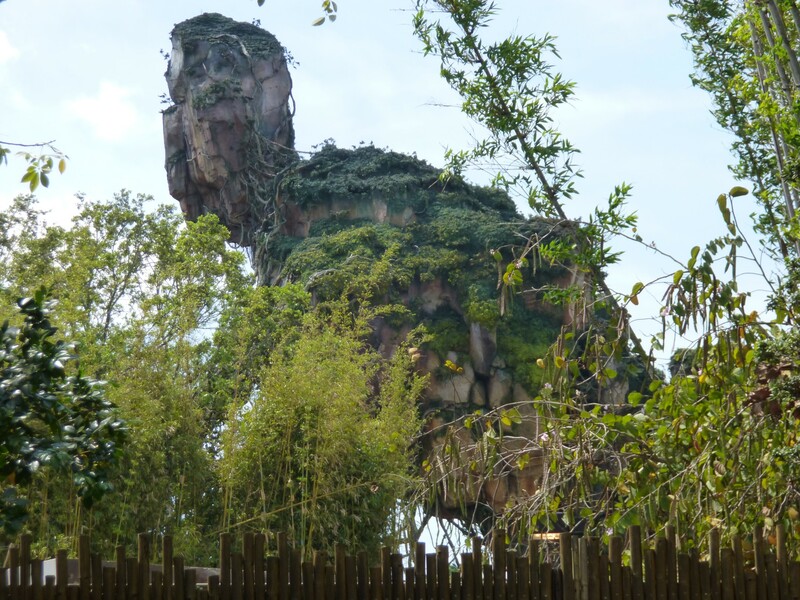 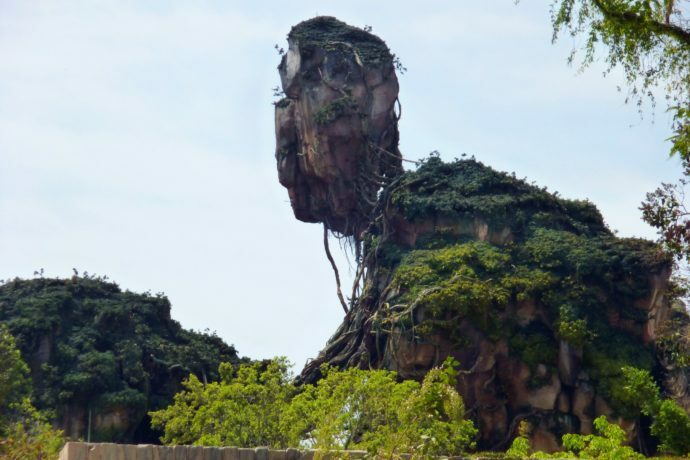 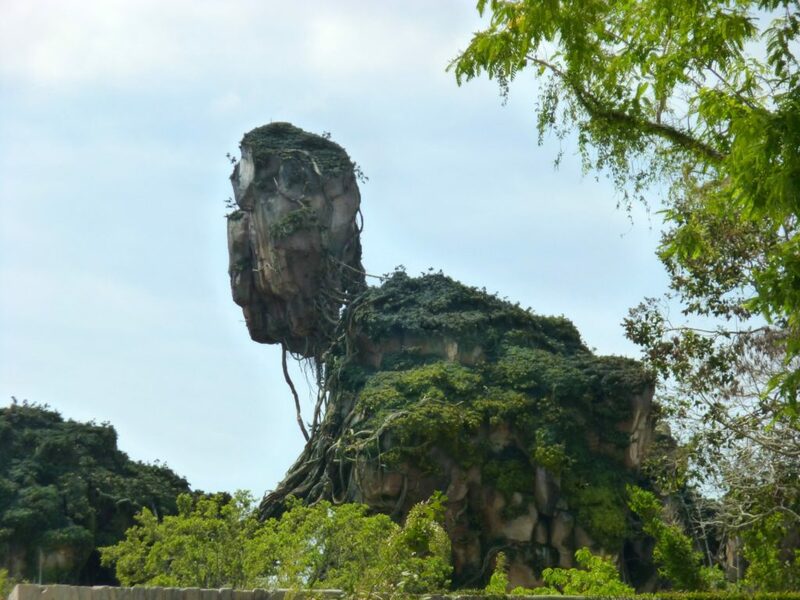 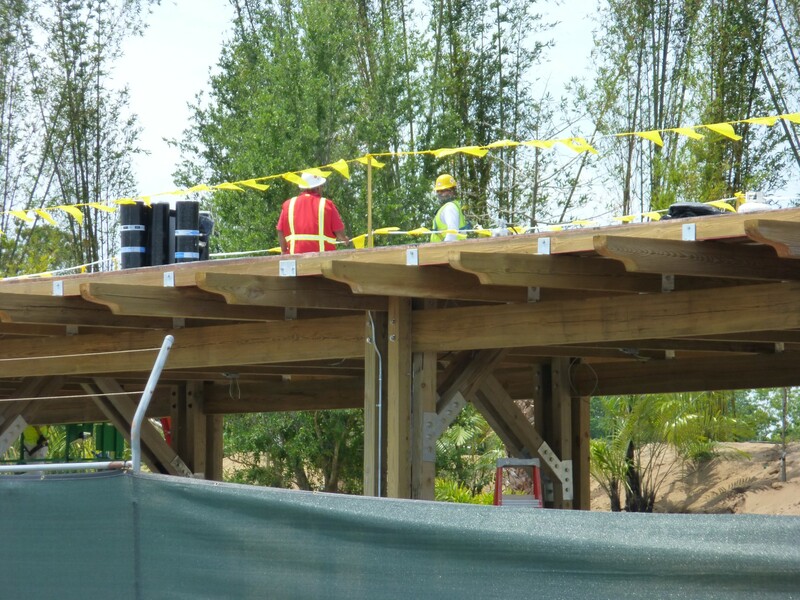 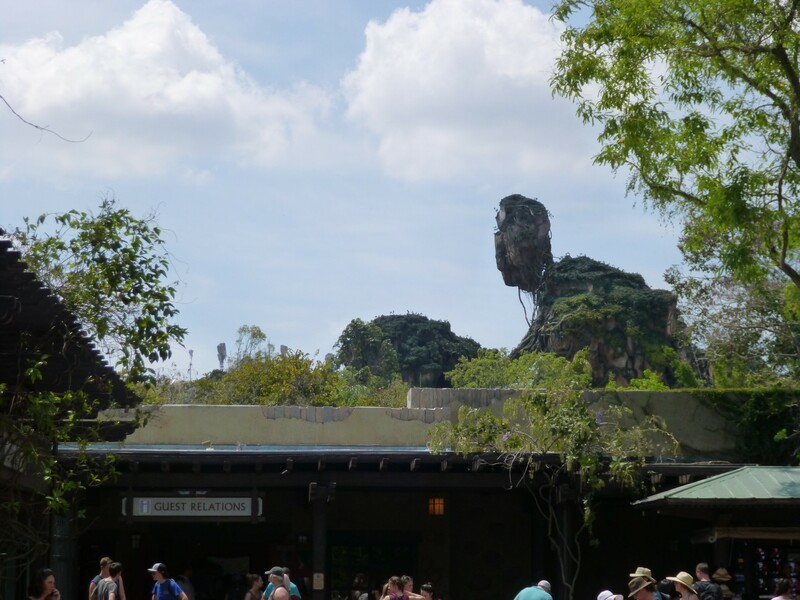 And speaking of the opening, be sure to stay tuned to Orlando ParkStop early next month as we’ll have our complete coverage of Pandora, including a closer look inside the area, the rides, and reviews of the exotic food and drink offerings! 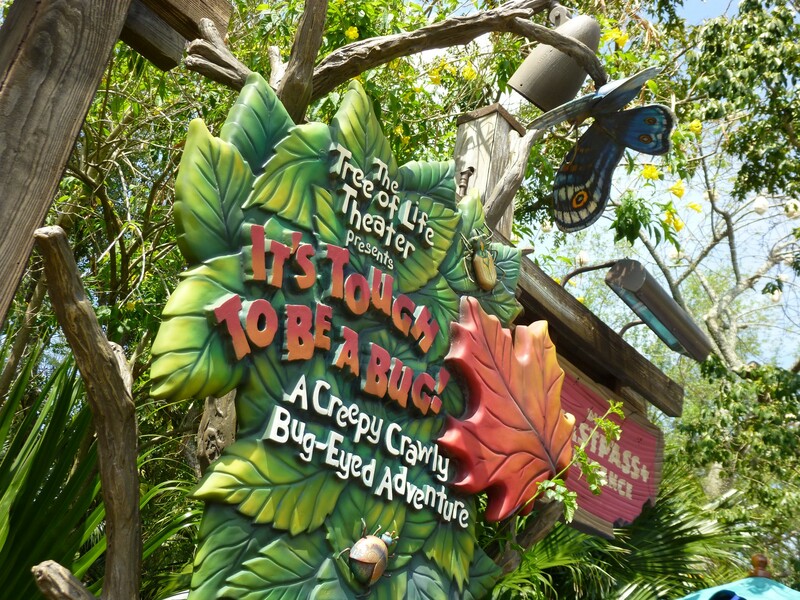 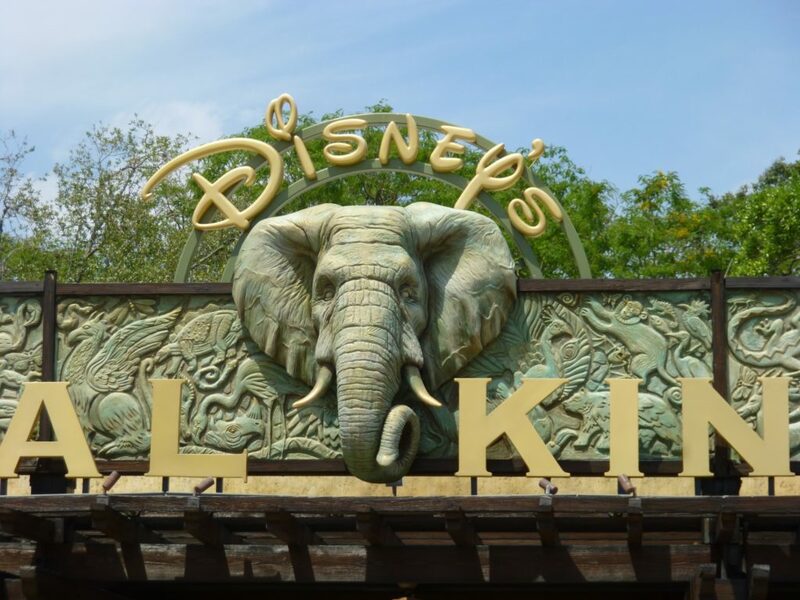 Also going on in the park right now, It’s Tough to be a Bug will be closed later this month, from April 23rd to 29th, for refurbishment. 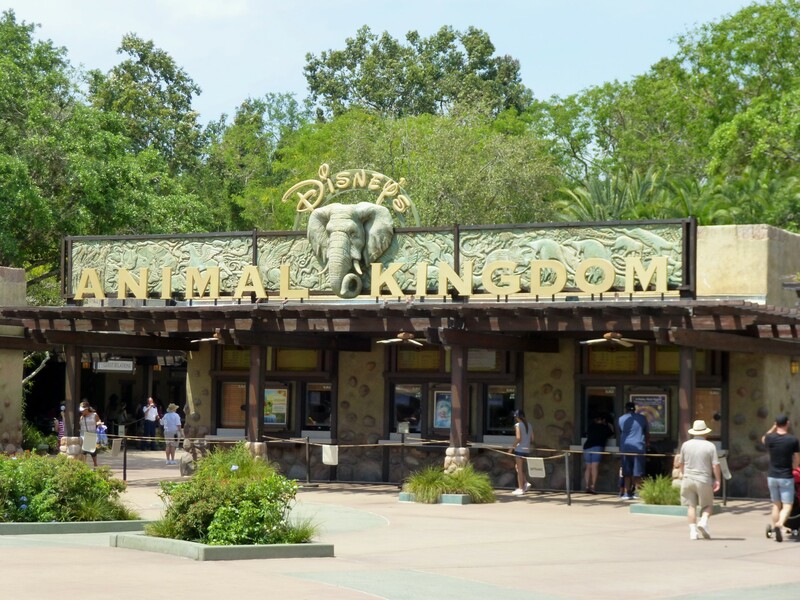 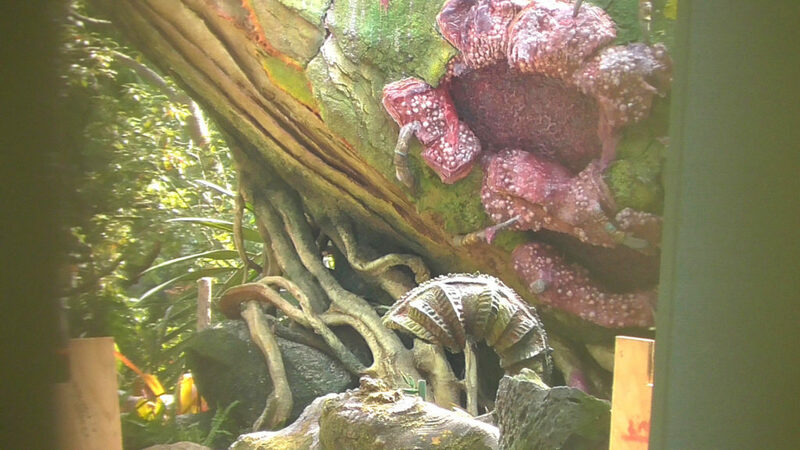 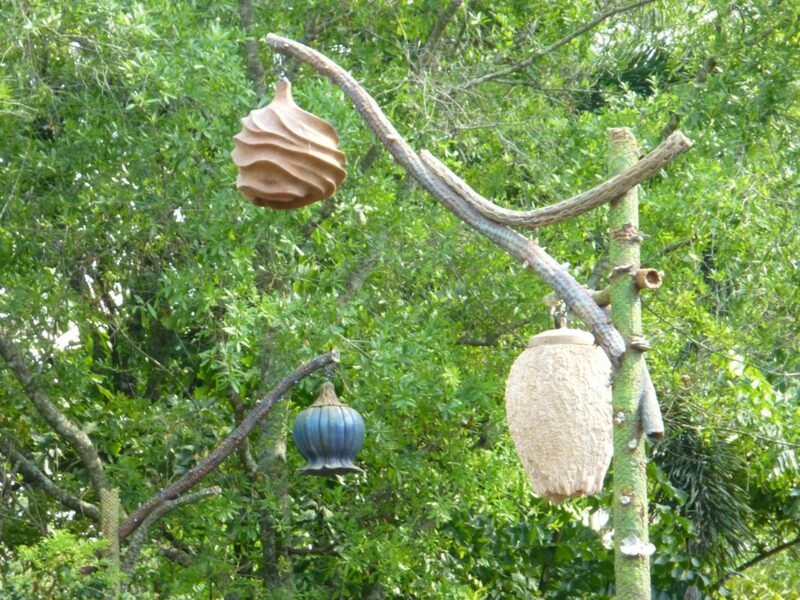 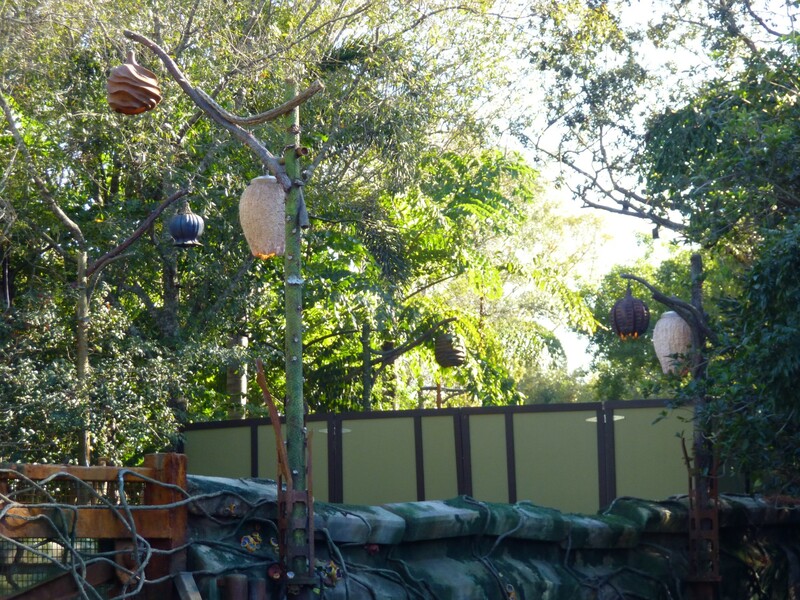 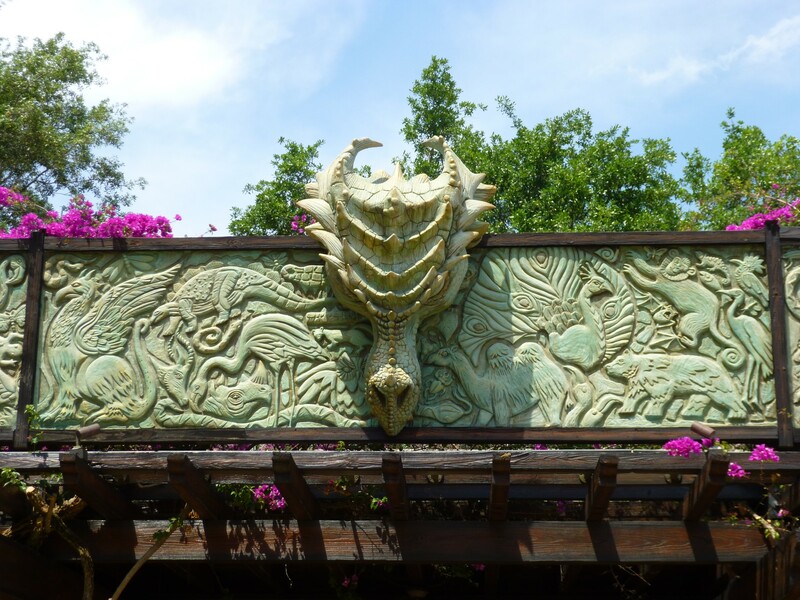 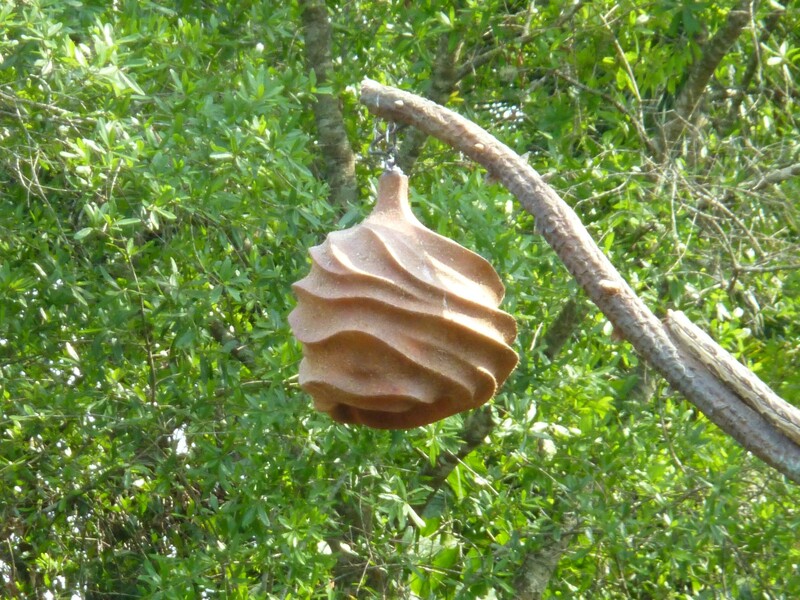 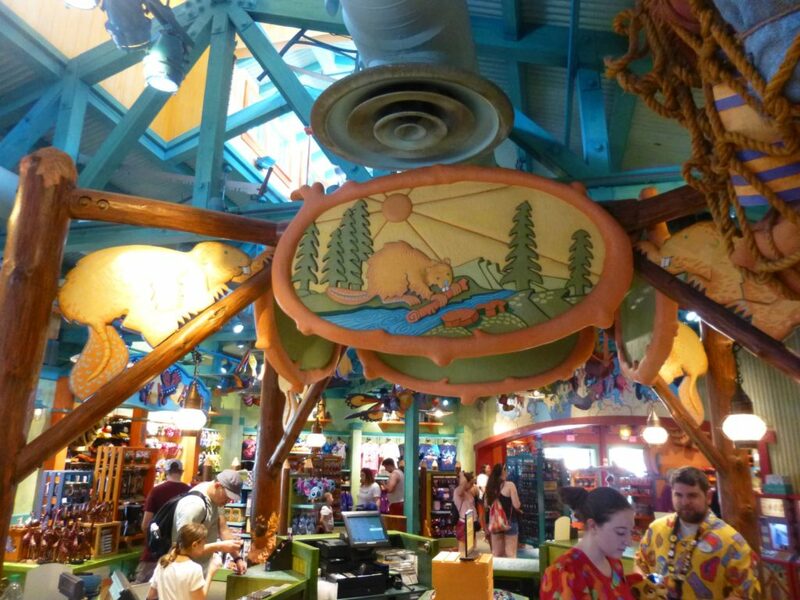 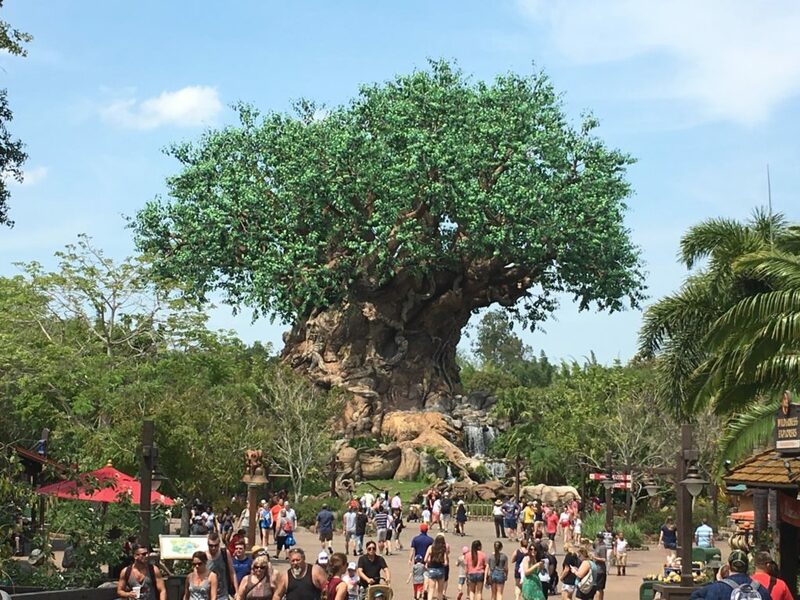 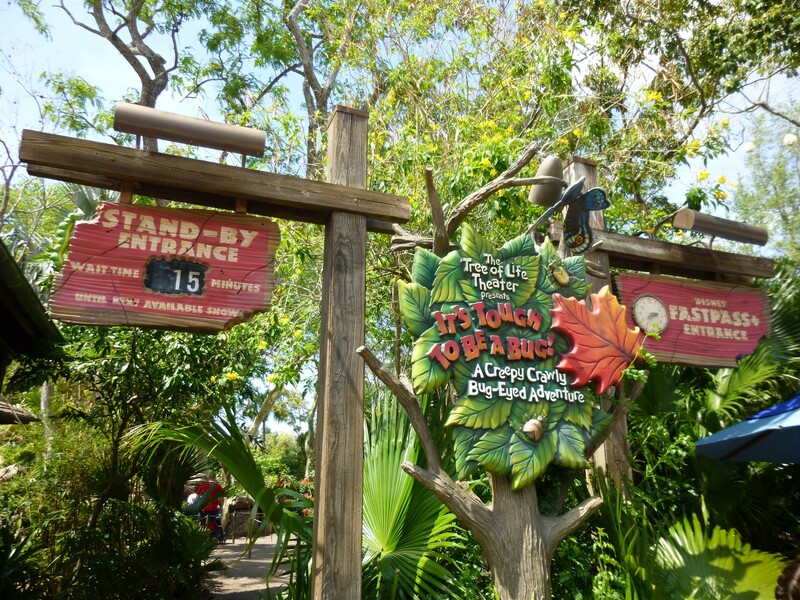 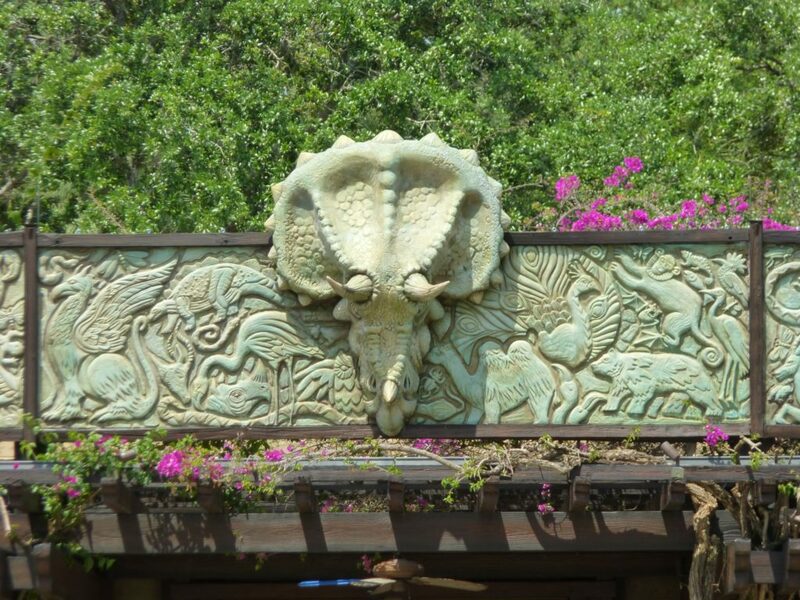 There’s lots of animals too look at around the Tree of Life as all of the animal paths are now open. 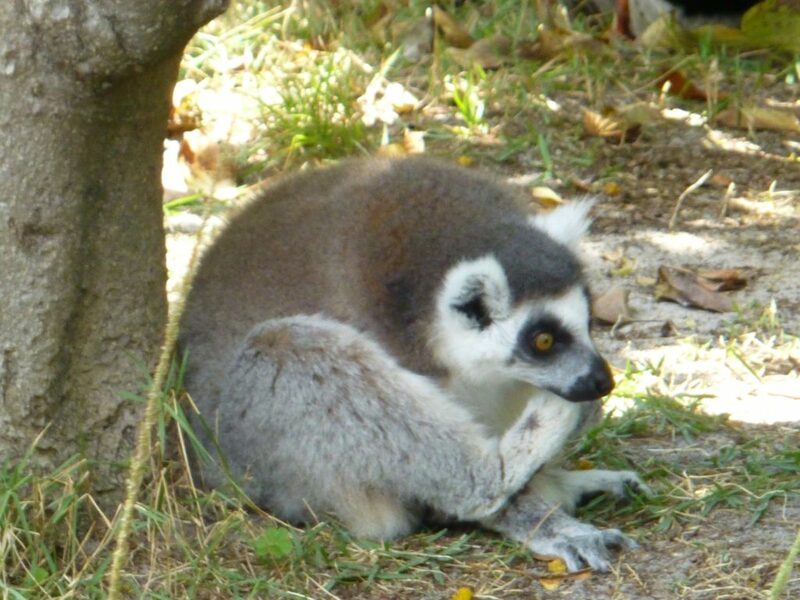 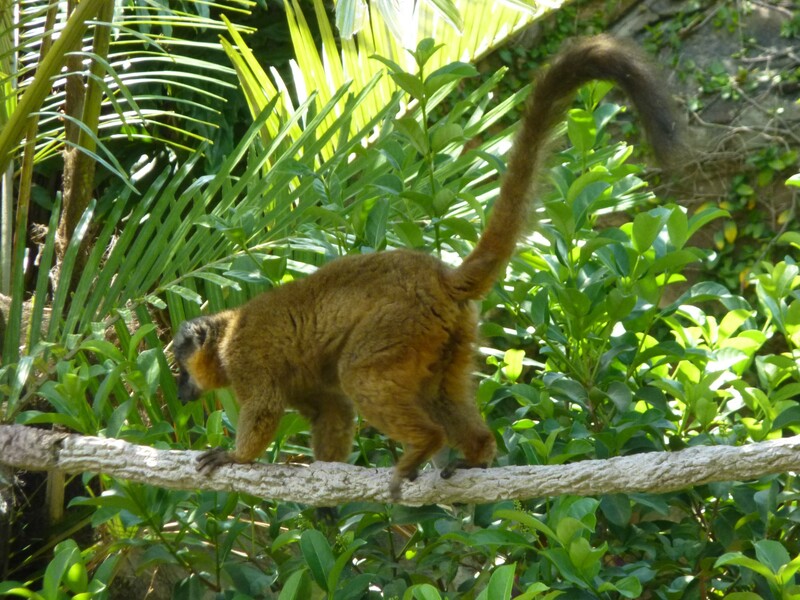 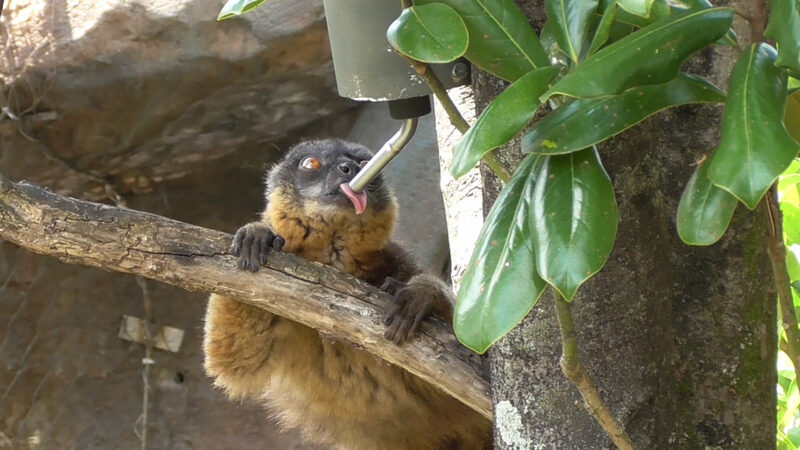 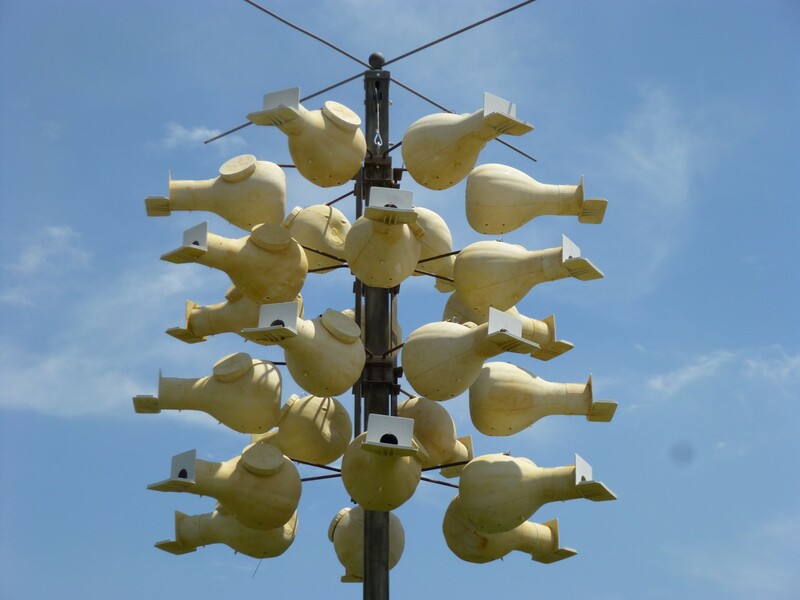 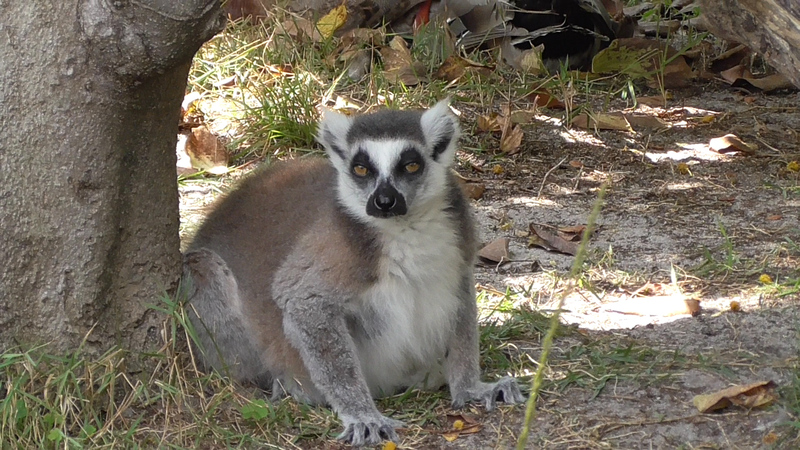 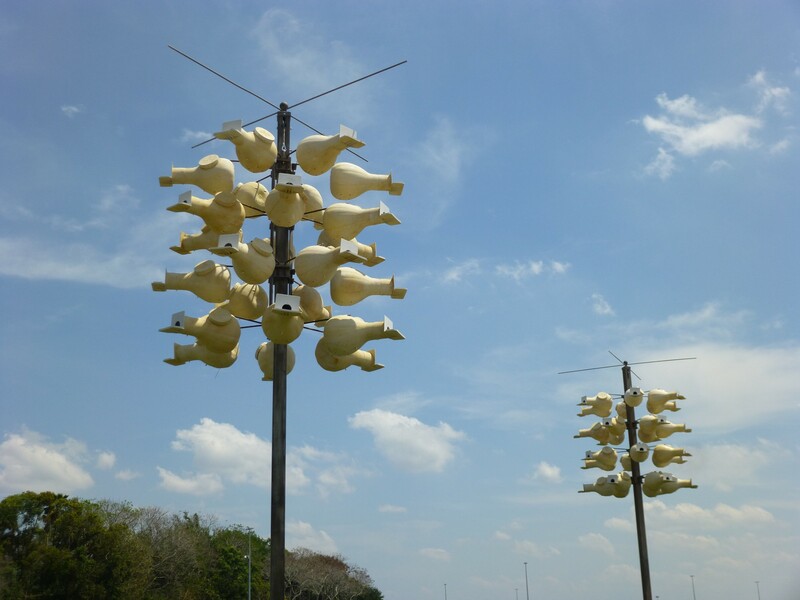 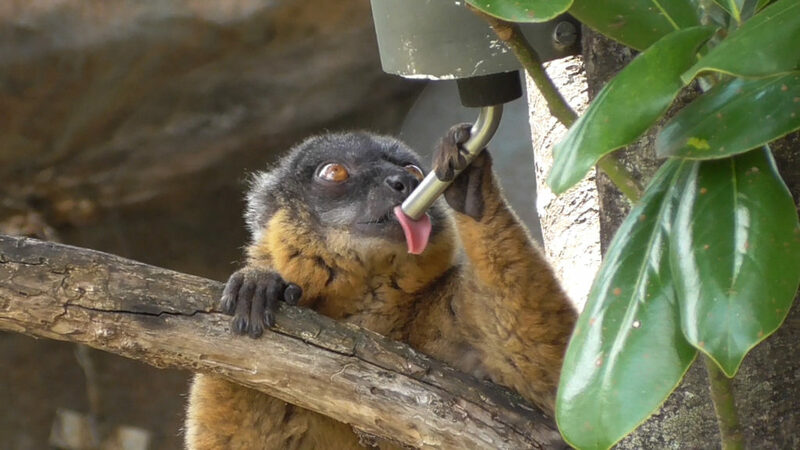 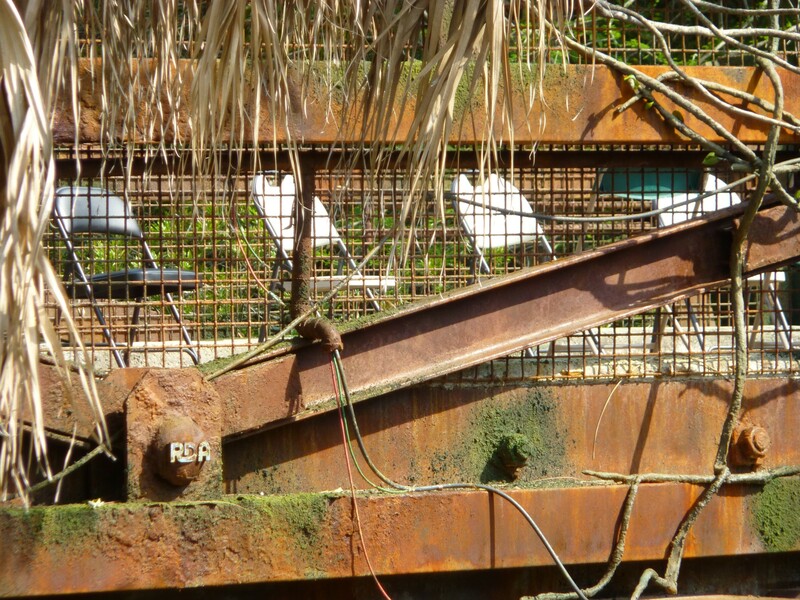 On most days you’ll be able to see lemurs, cranes, kangaroos and lots more! 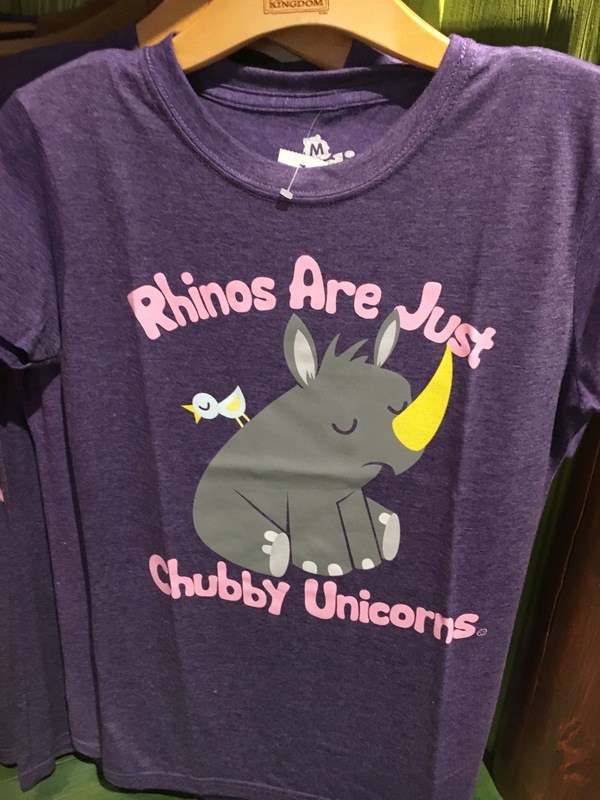 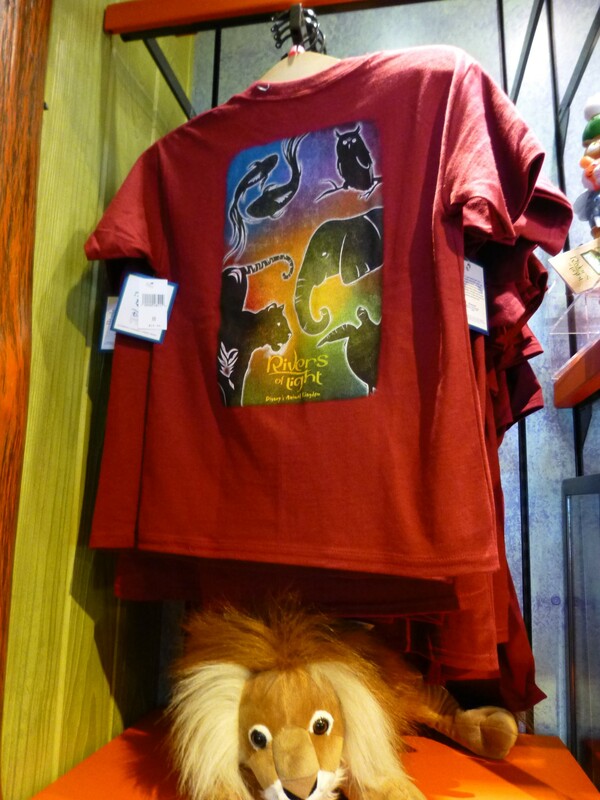 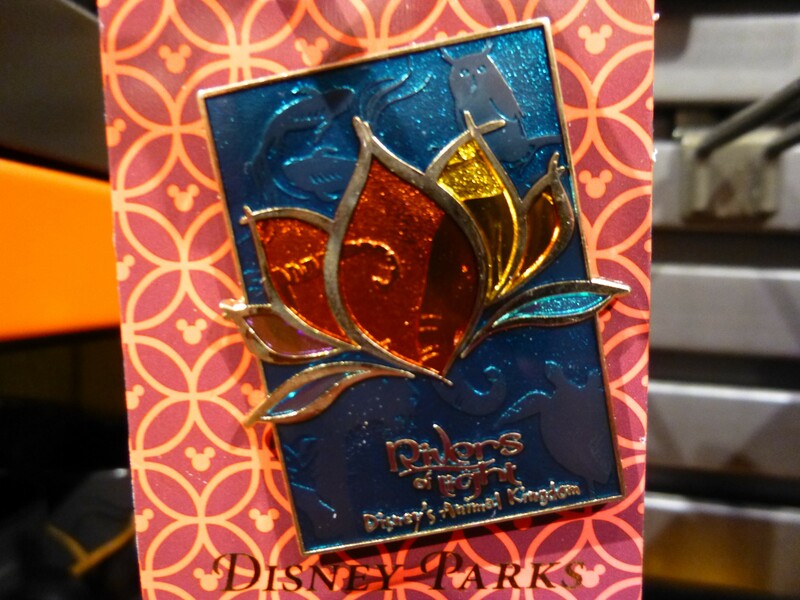 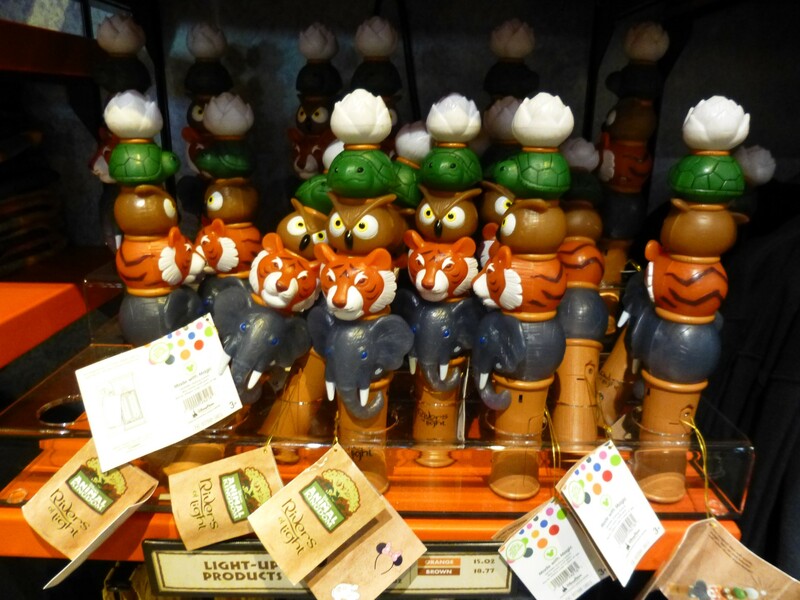 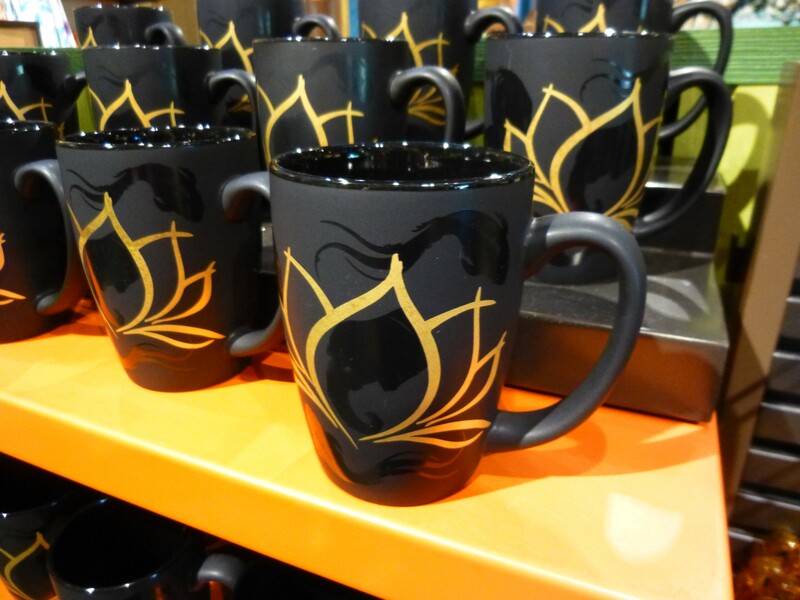 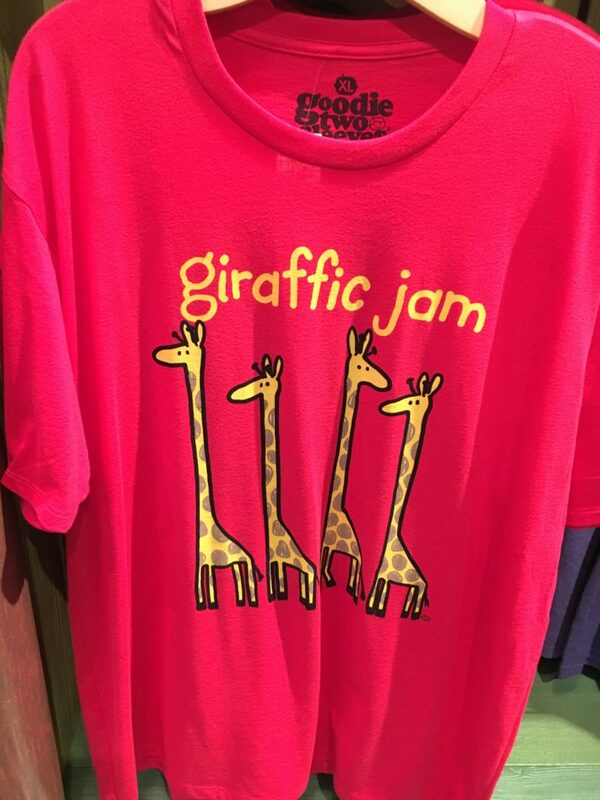 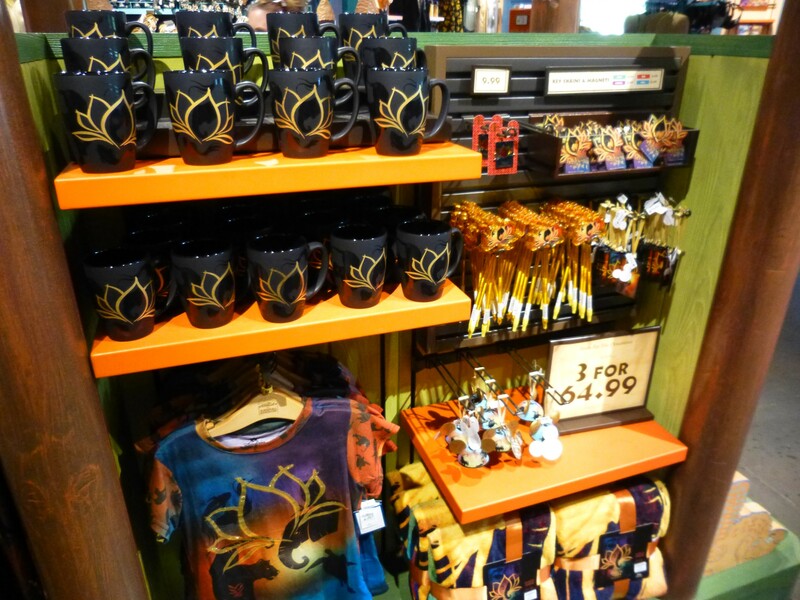 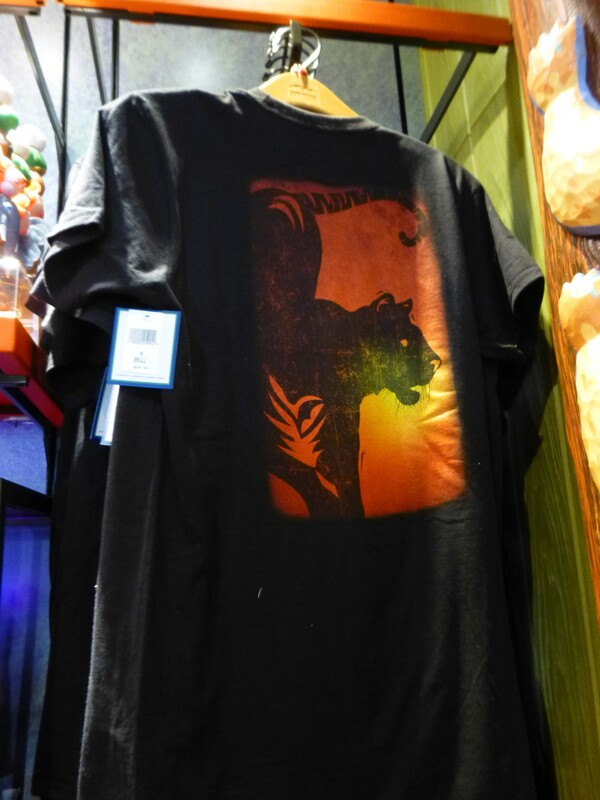 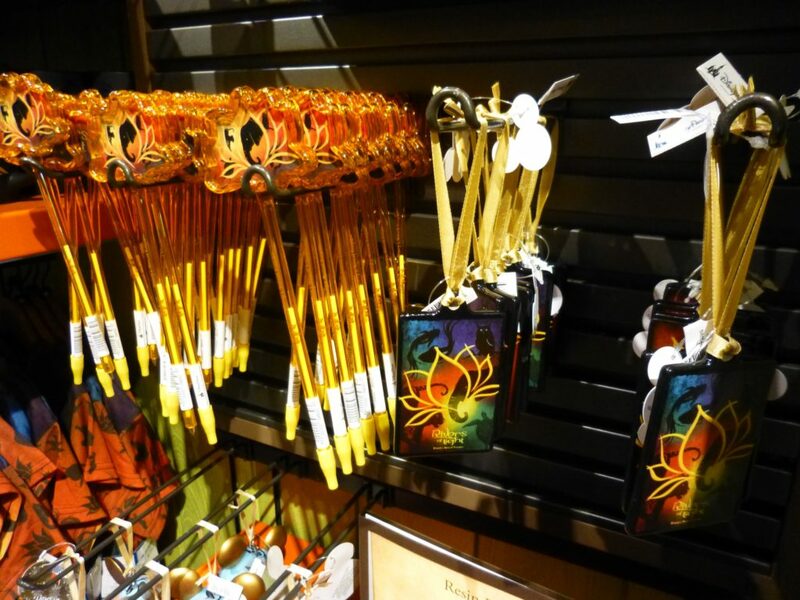 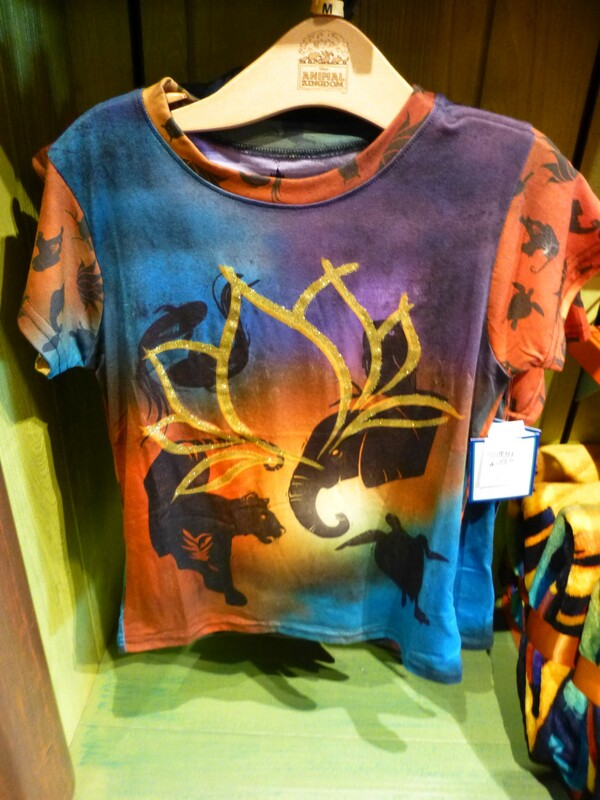 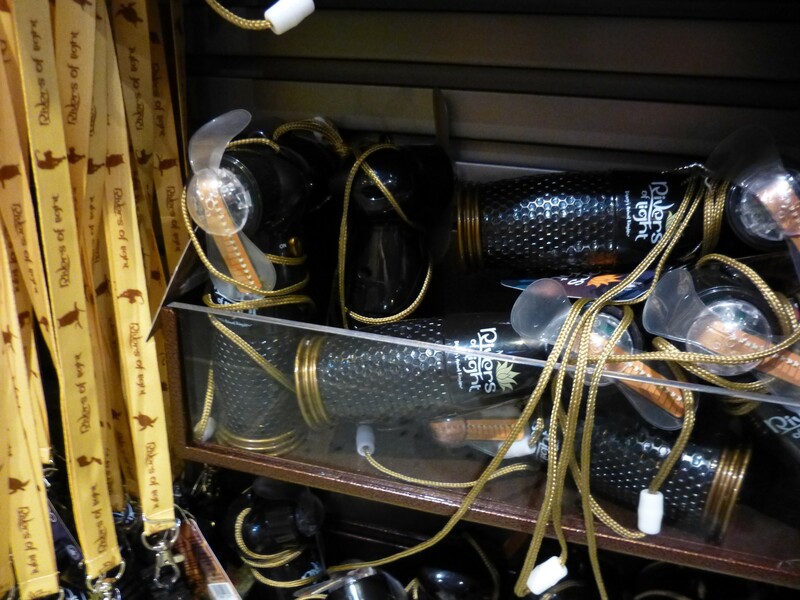 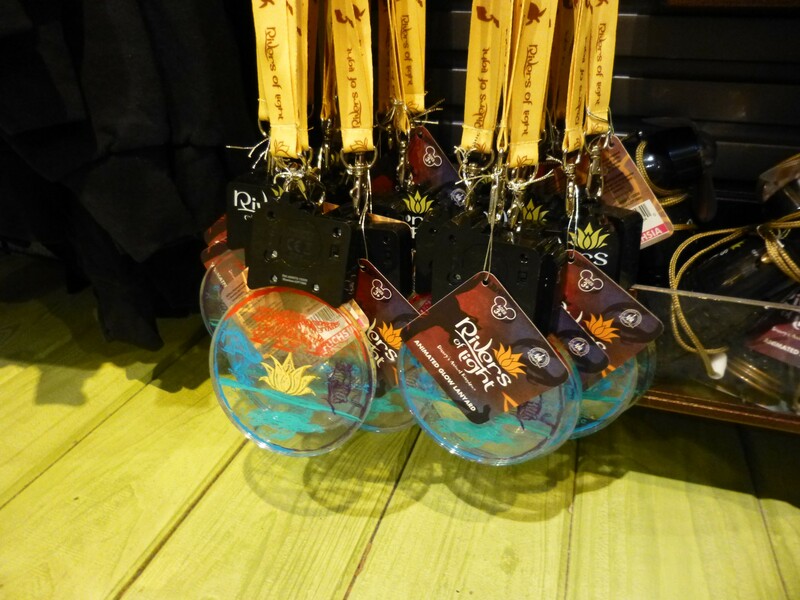 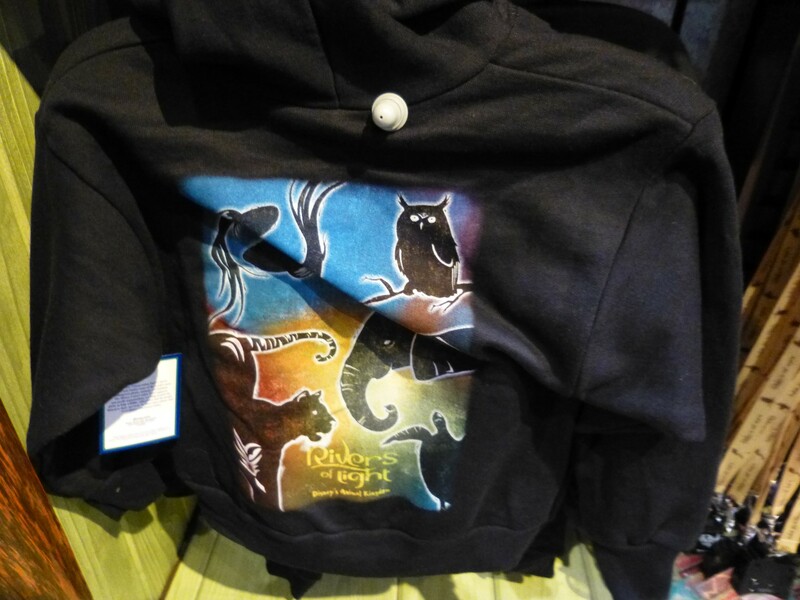 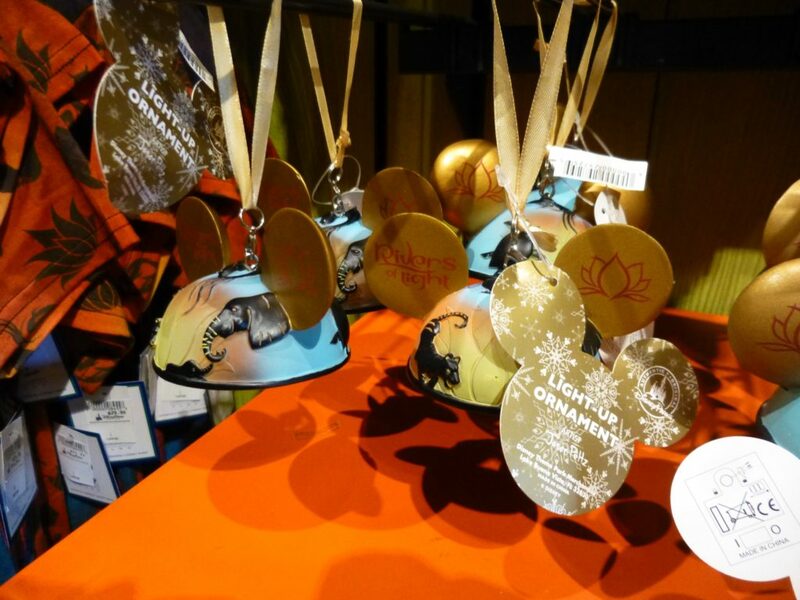 And finally, we’re taking a look at some of the new merchandise for the Rivers of Light show, now happening nightly. 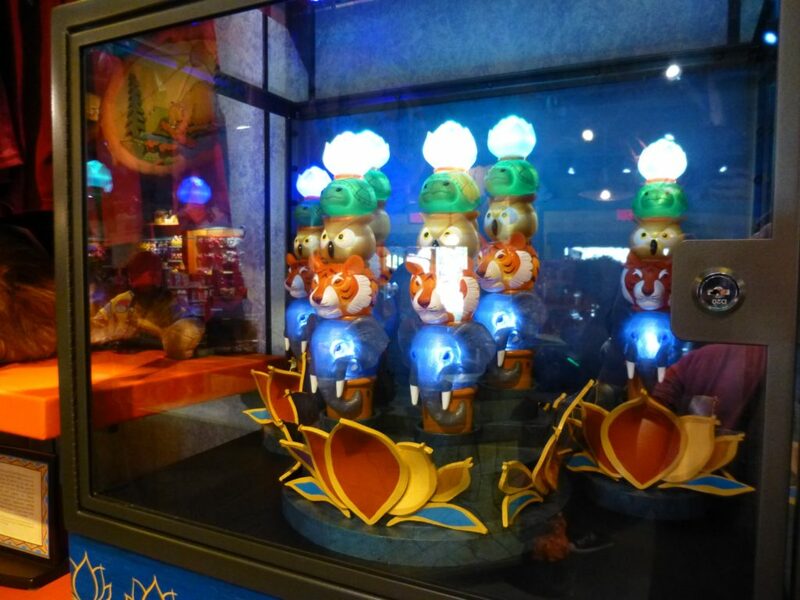 Some of the new items actually light up and even change colors, synchronized with the show! 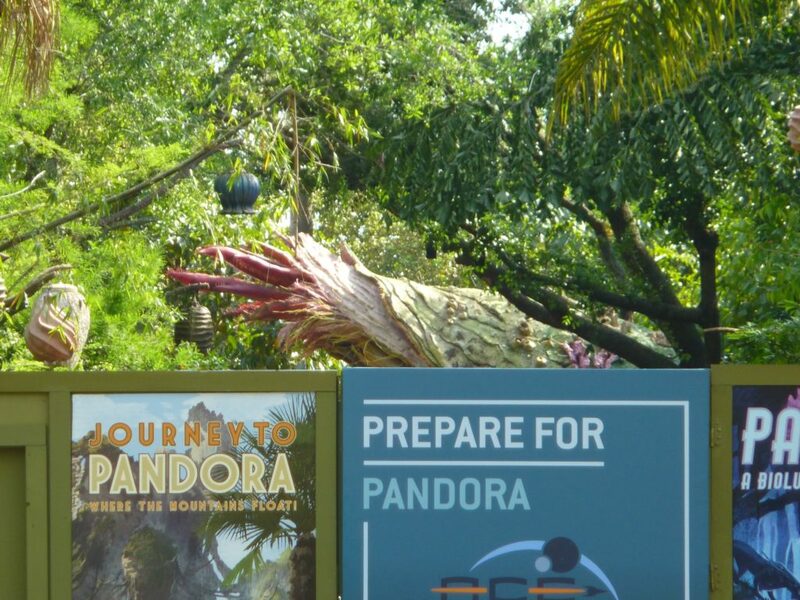 Check out the video as well as the full photo report below and stay tuned for our Pandora full coverage coming soon! 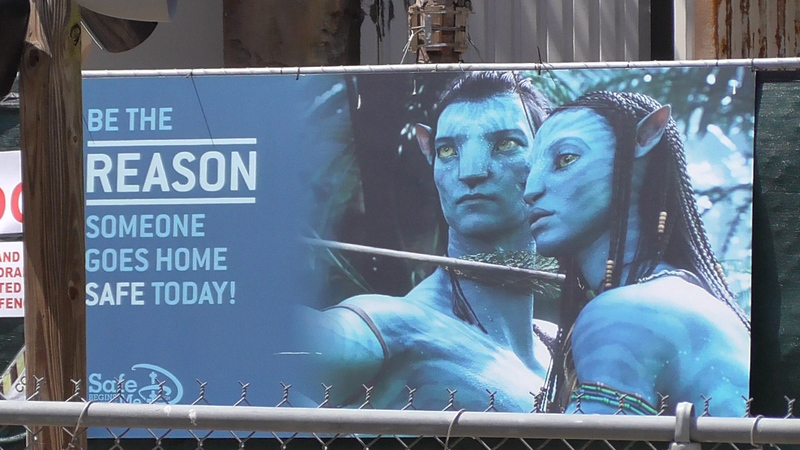 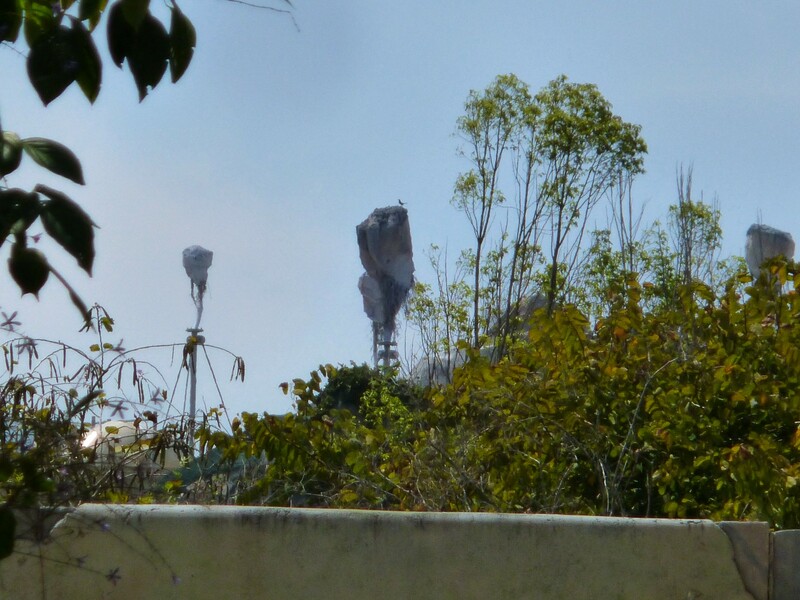 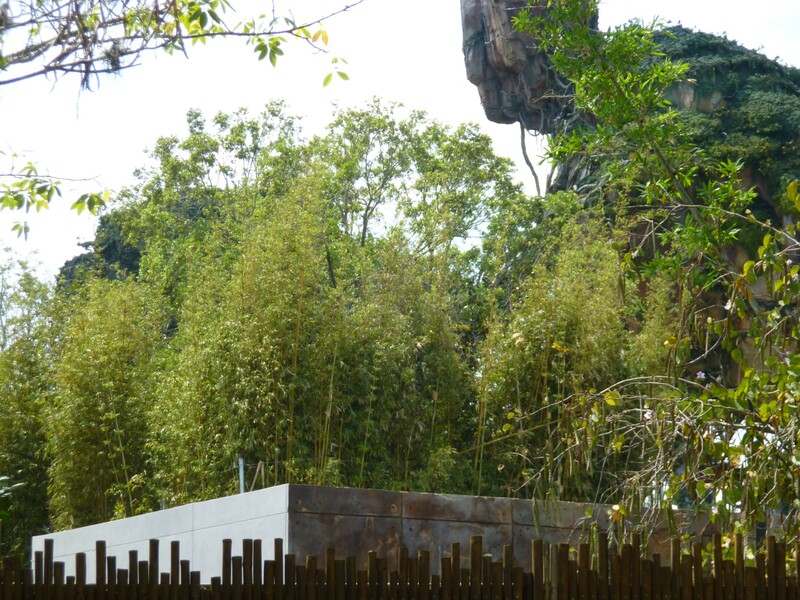 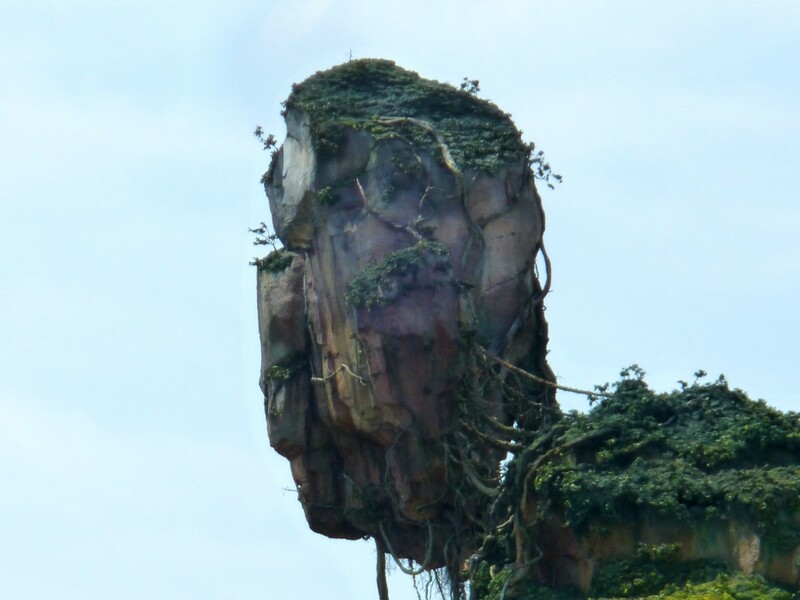 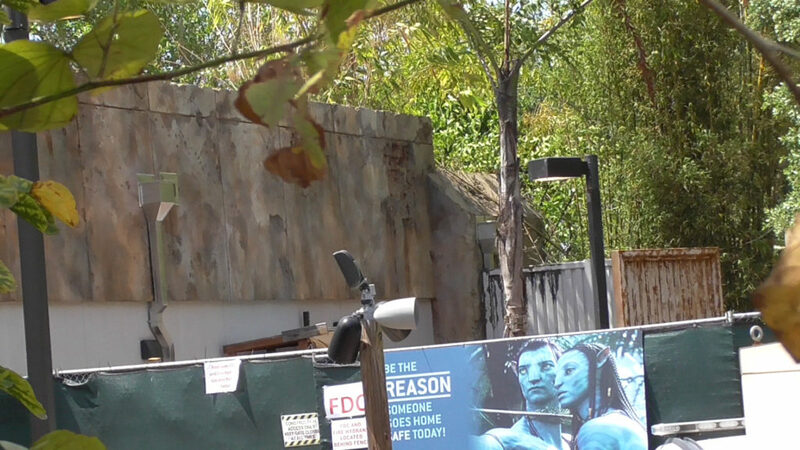 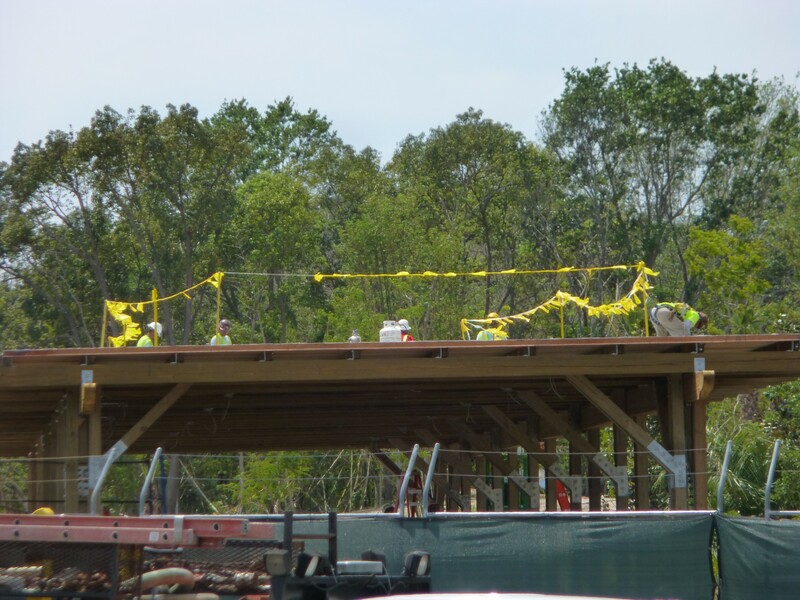 Taking one last look at Avatar construction before we visit the land in person next month! 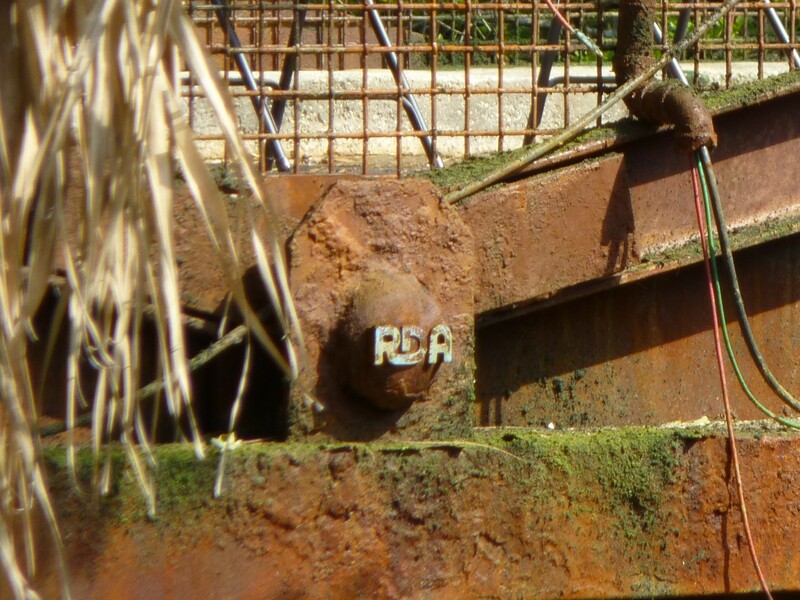 Just noticed the RDA logos all over this bridge. 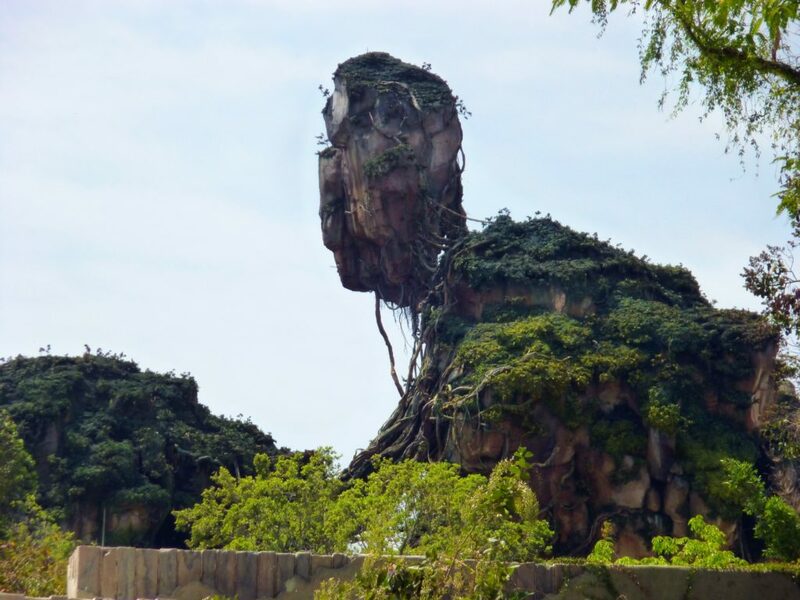 The RDA was the “Resources Development Administration” in Avatar, the corporation in charge of all natural resource mining on off-Earth locations, including Pandora. 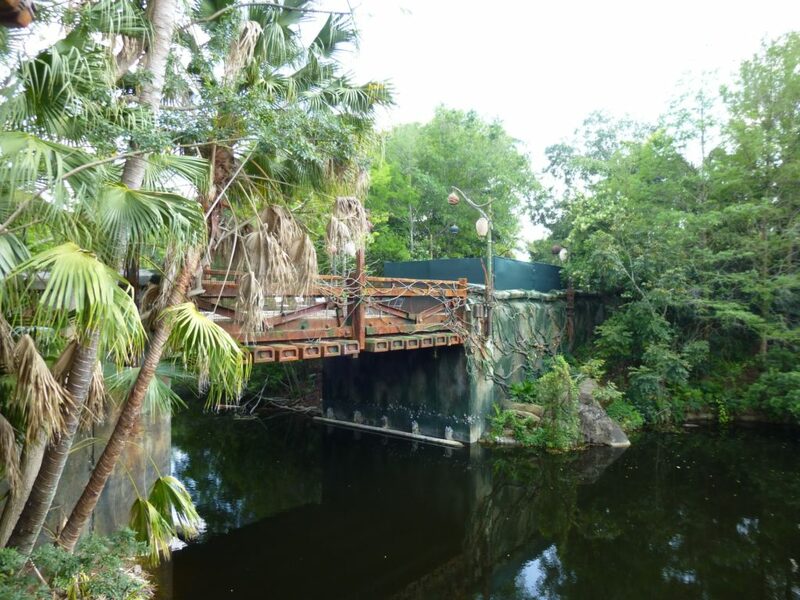 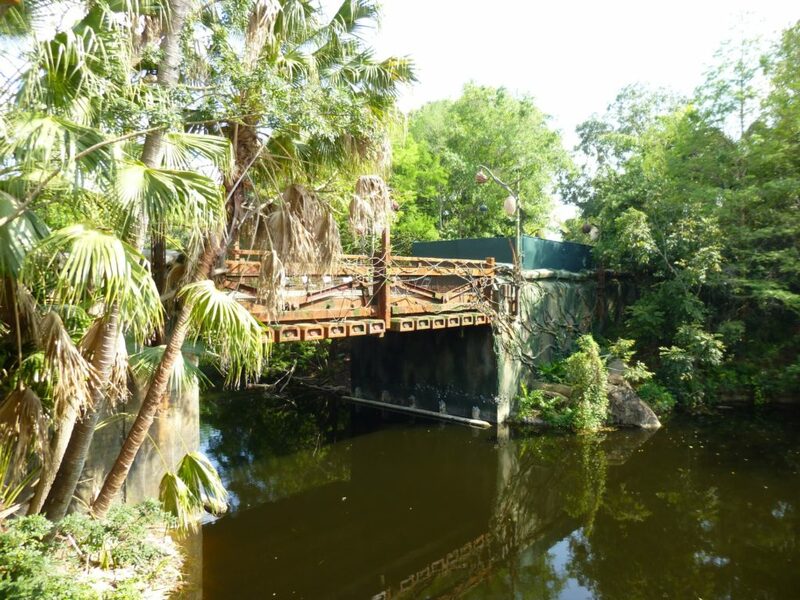 In the new land, the story is that the RDA left many years ago, which is why this bridge, and other RDA infrastructure, appear in disarray after being reclaimed by nature. 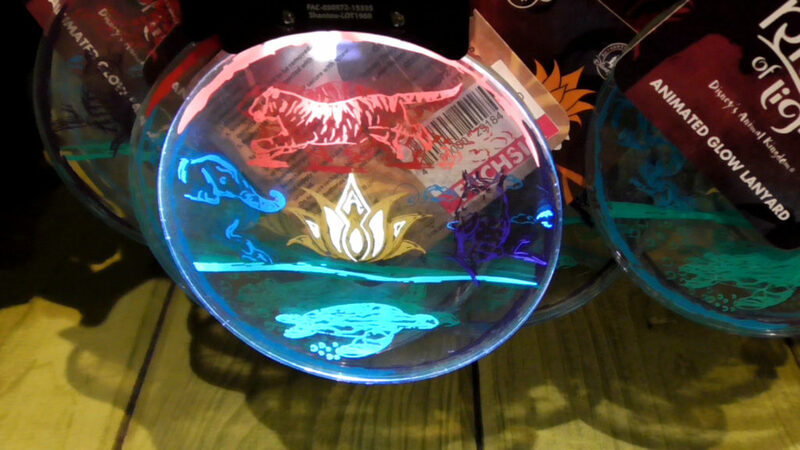 These light up with the show! 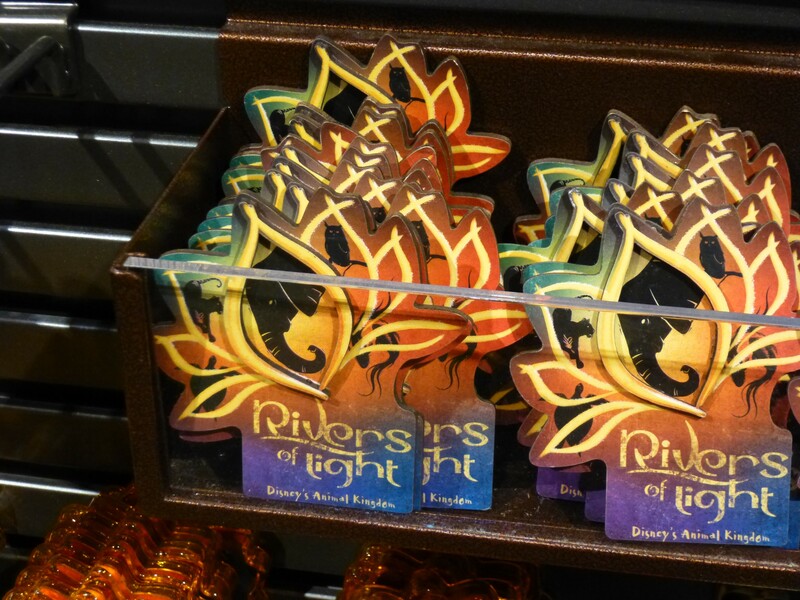 These last two aren’t Rivers of Light, but were so cute I just had to include them! 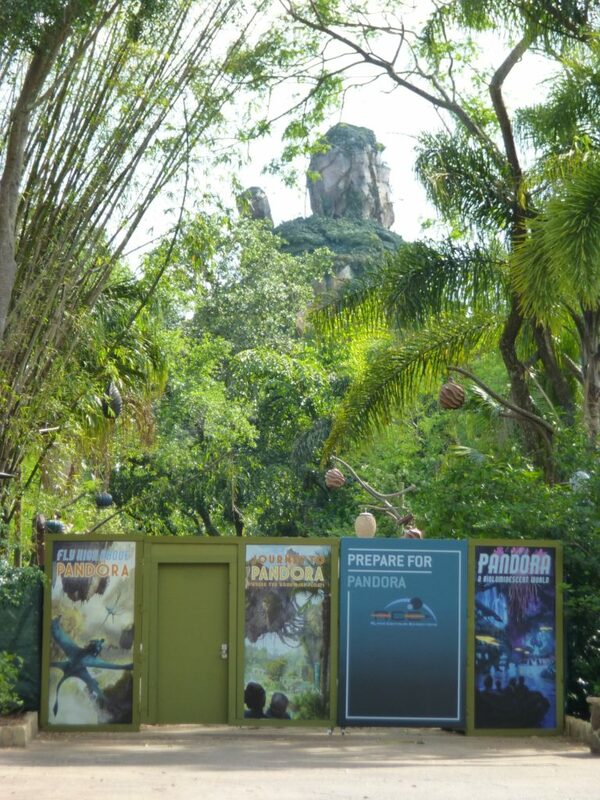 Stay tuned in early May for our complete coverage of Pandora – The World of Avatar! We will be showing off the entire land, rides, and exotic foods and drinks.